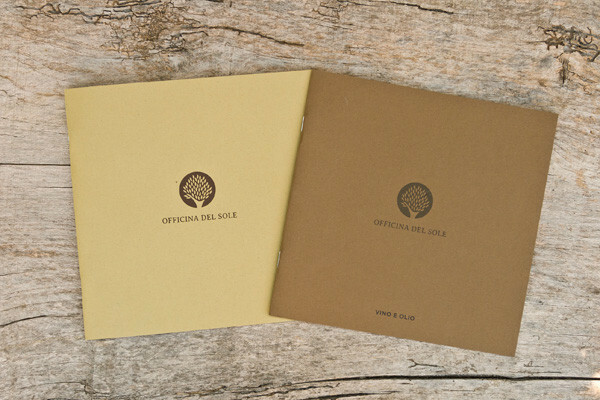 Officina del Sole is a farm in Central Italy that offers many entertainment and educational activities. 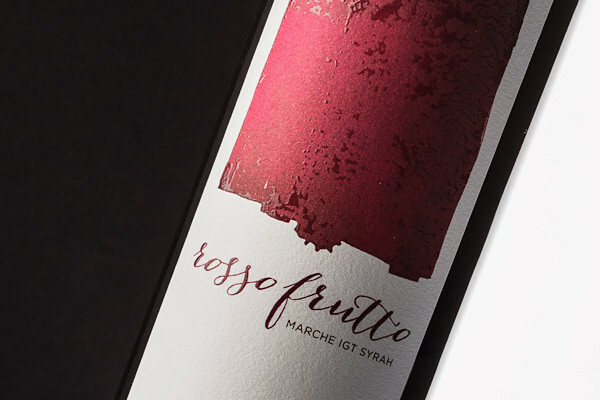 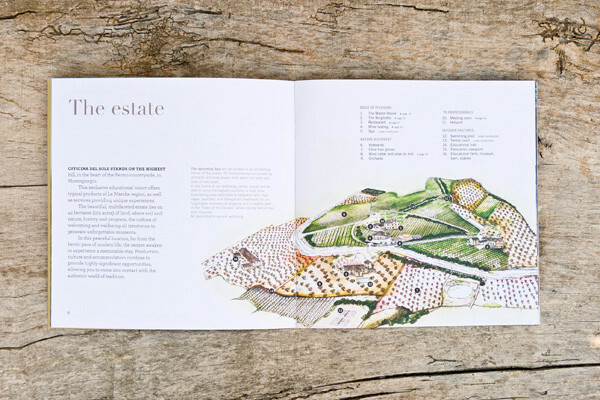 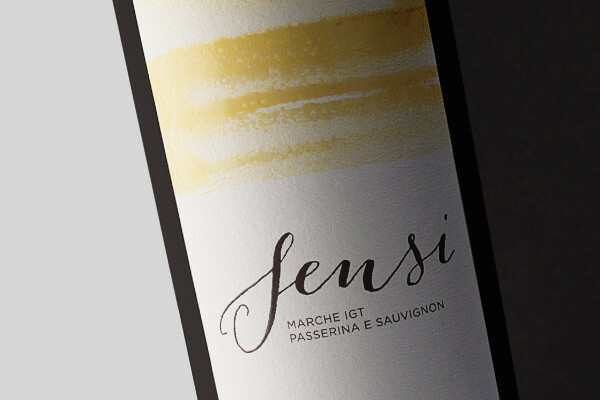 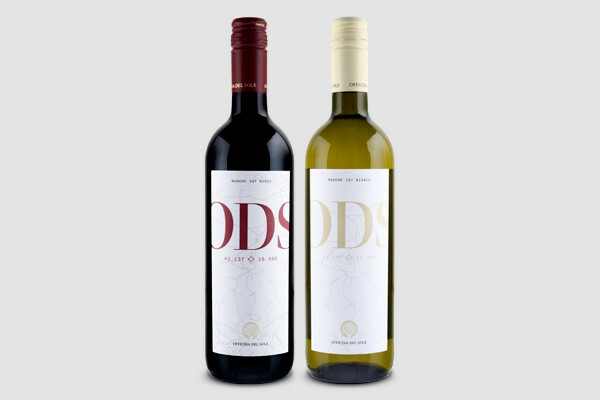 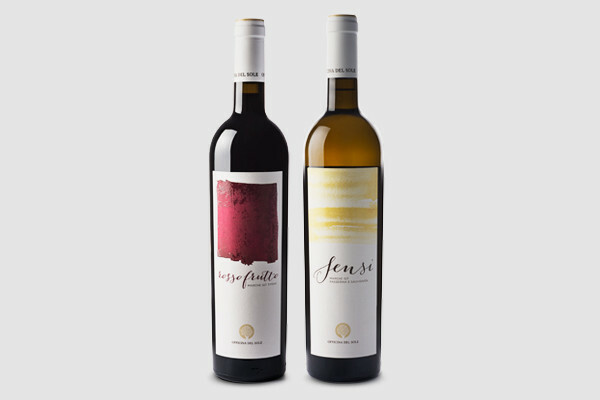 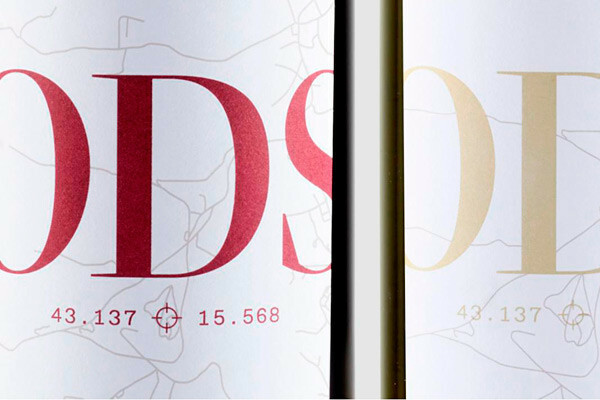 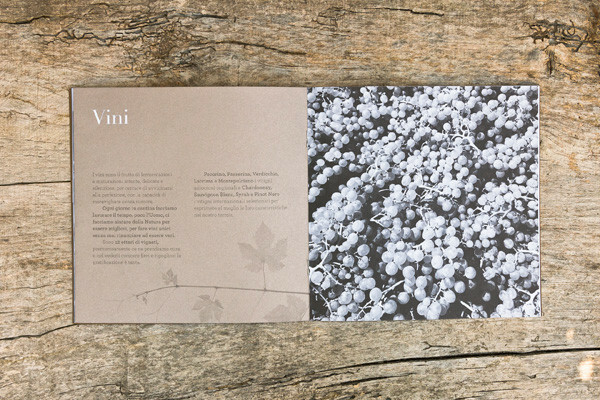 Graphic design for brochures and for wine labels. 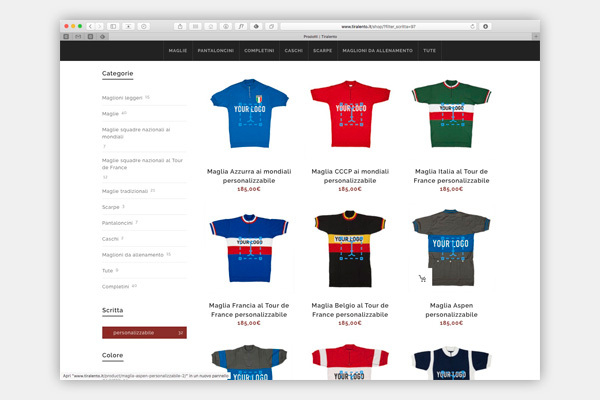 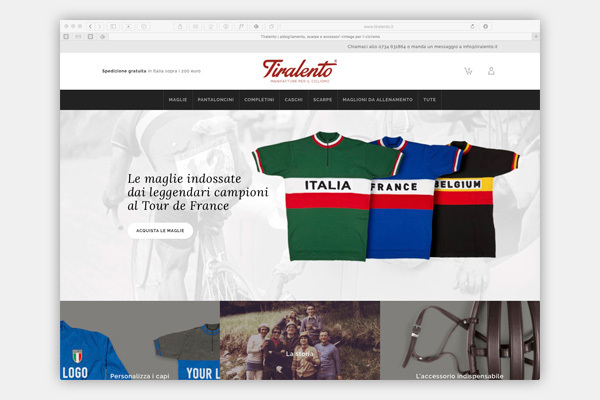 Tiralento was created on the spur of emotion by a group of cycling veterans, united by their great passion for cycling, who wanted people to rediscover the unique clothing and footwear worn by competitive cyclists up to the late 1970s. 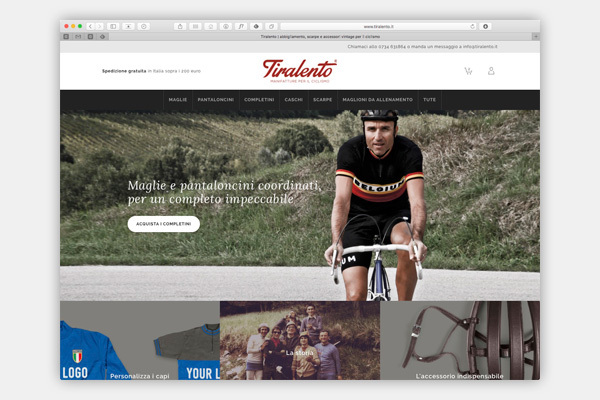 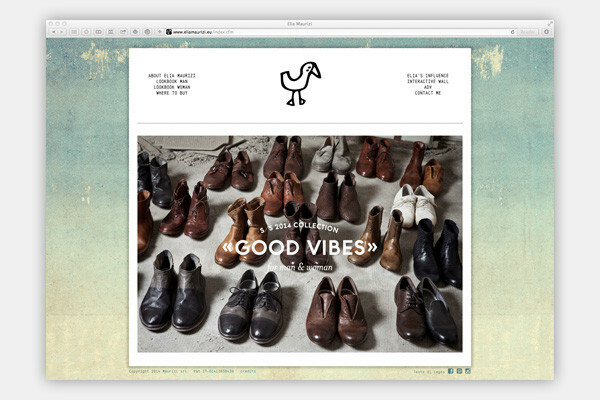 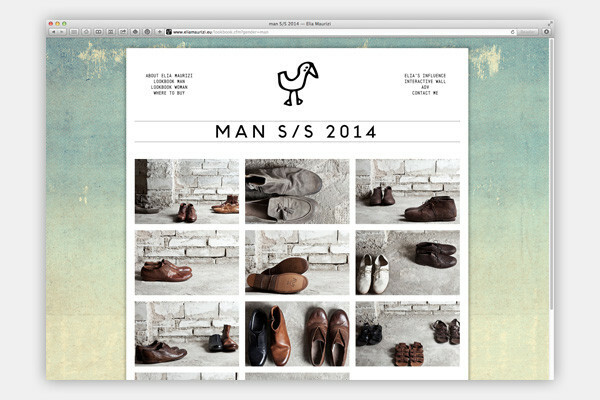 Design and development of the e-commerce website. 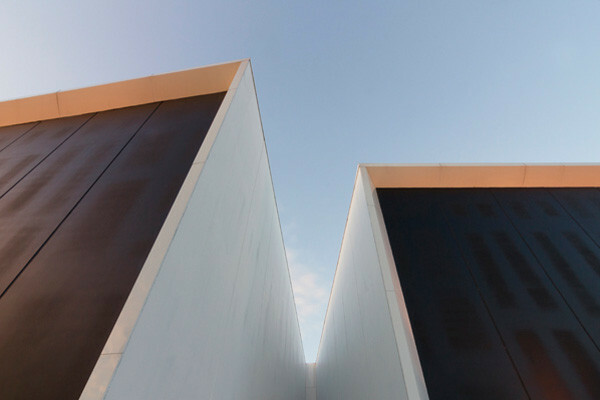 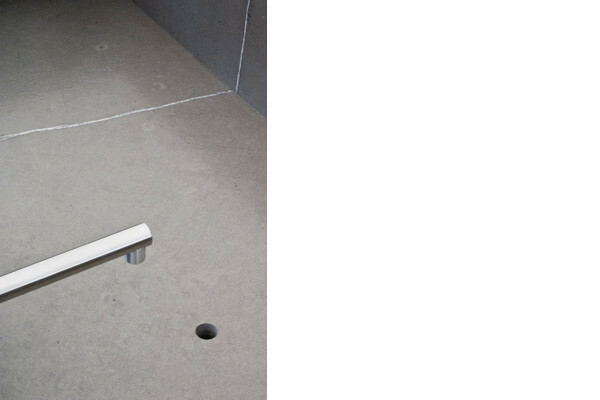 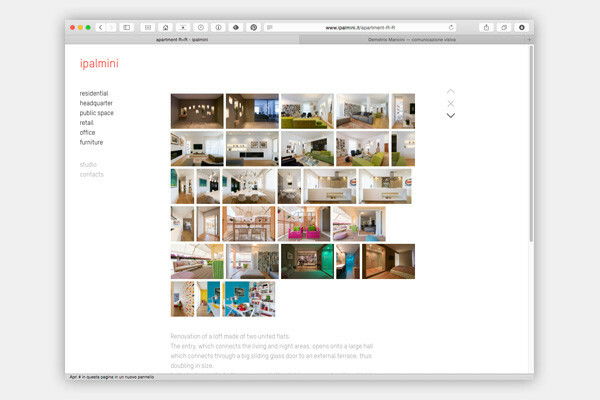 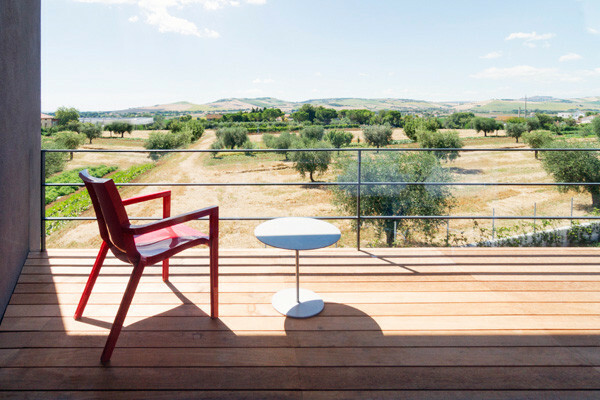 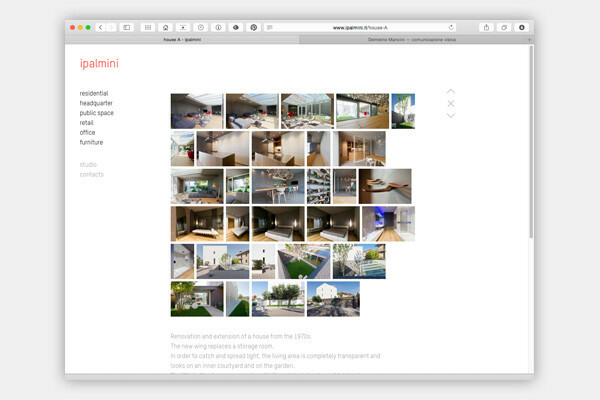 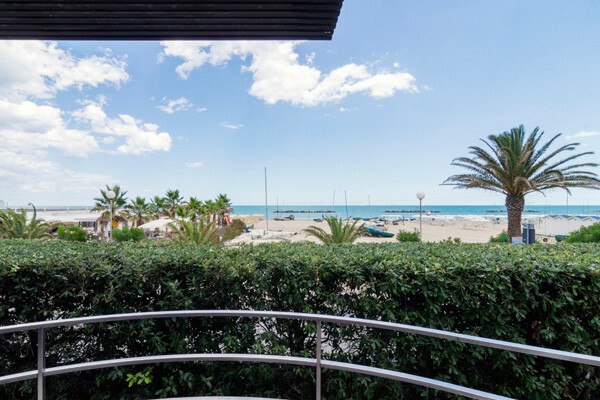 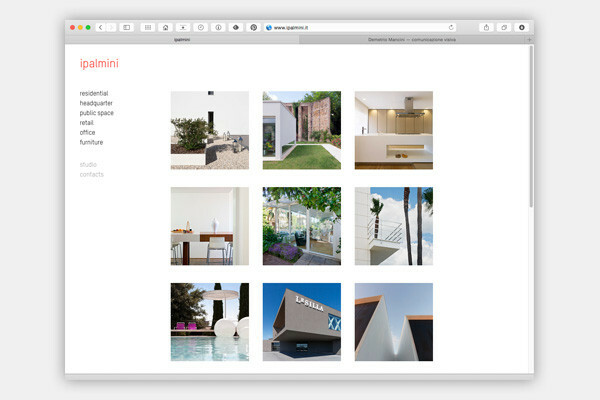 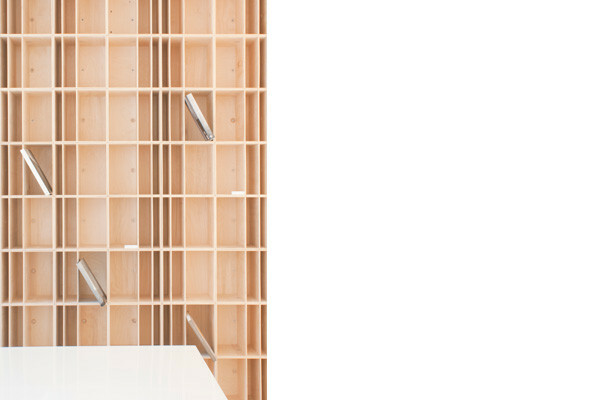 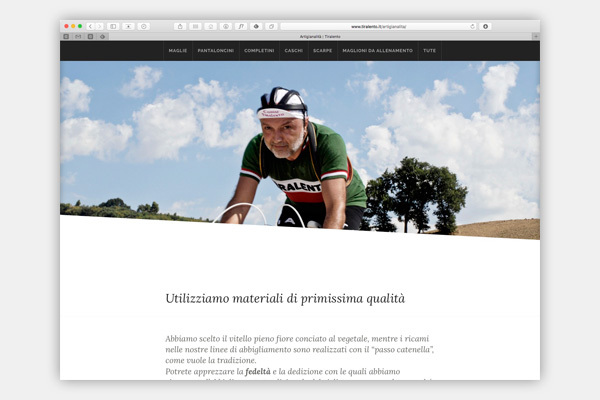 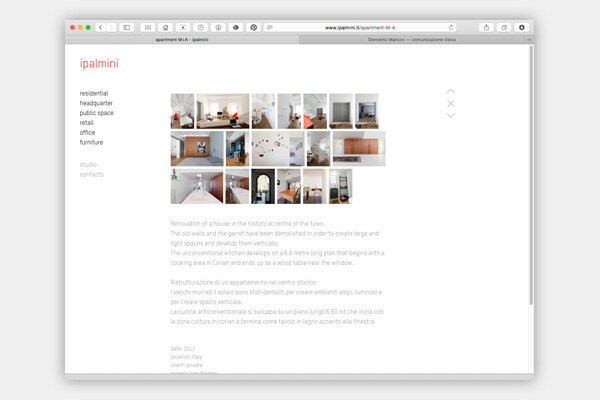 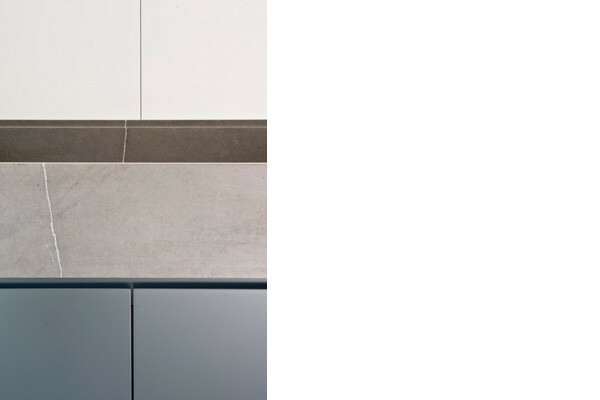 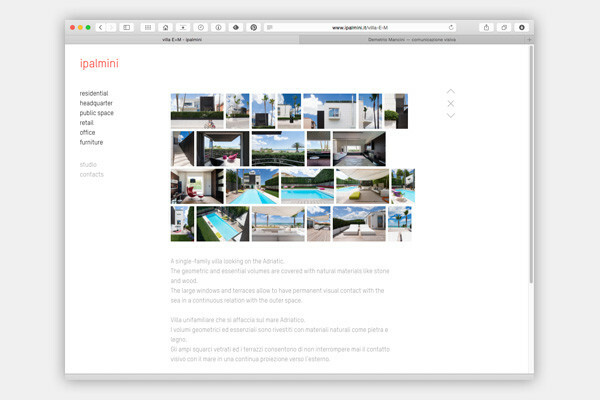 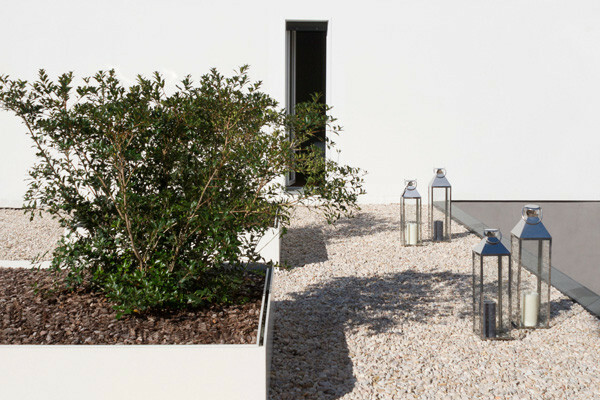 Photos and website for architecture and design studio ipalmini. 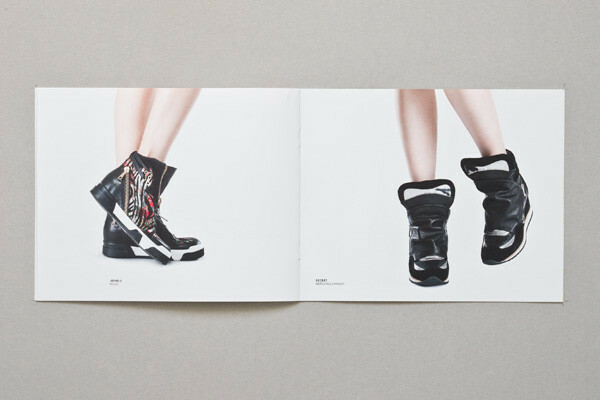 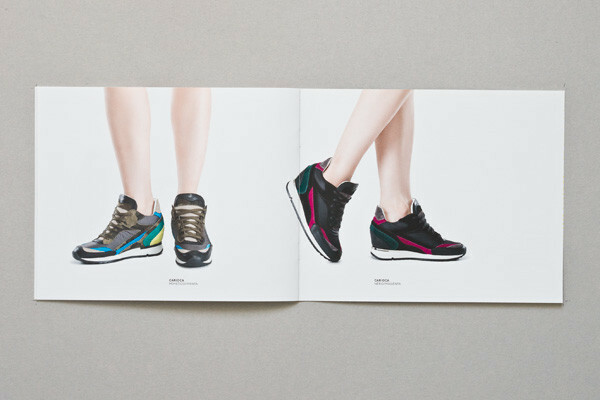 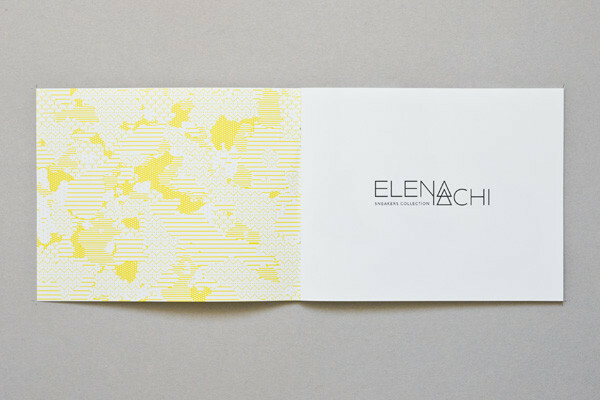 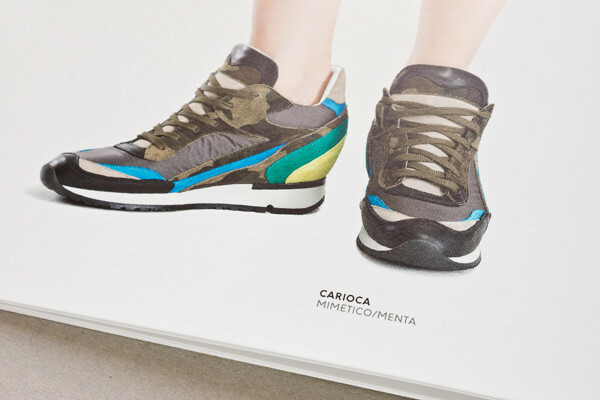 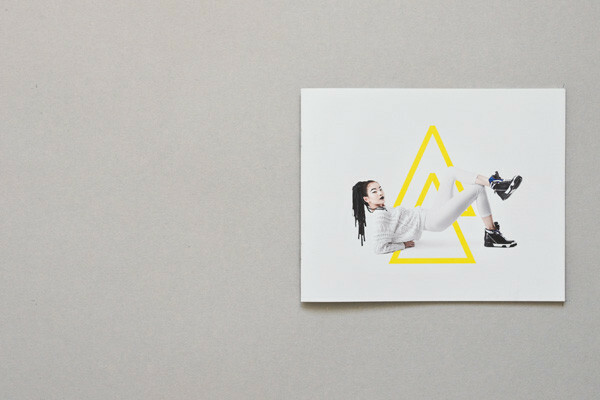 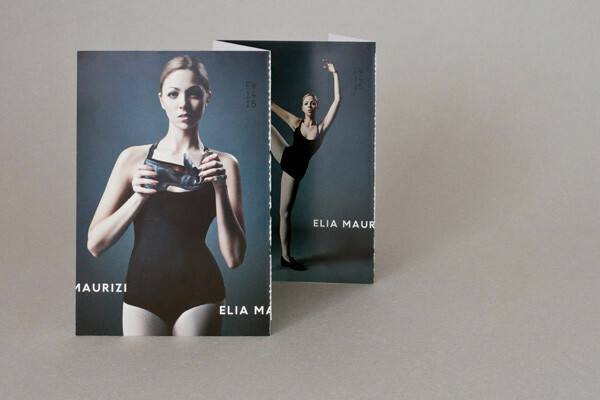 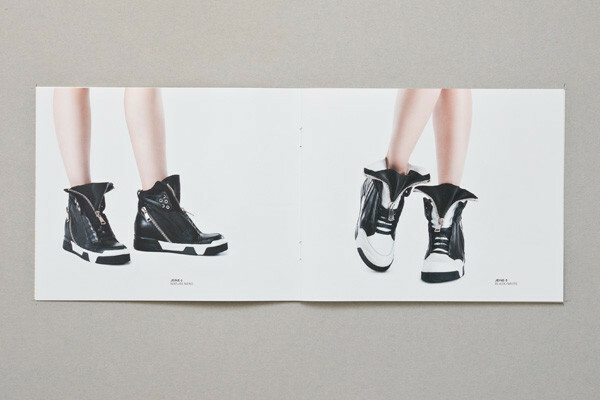 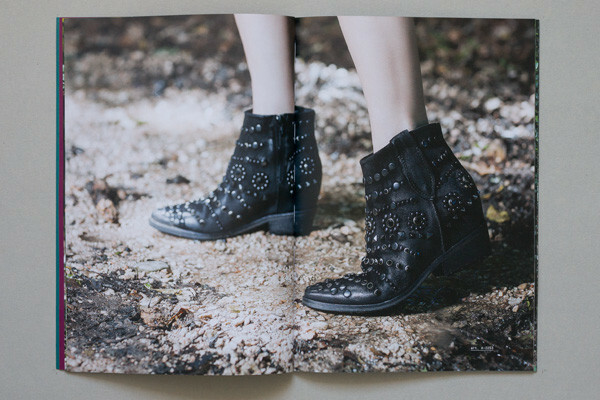 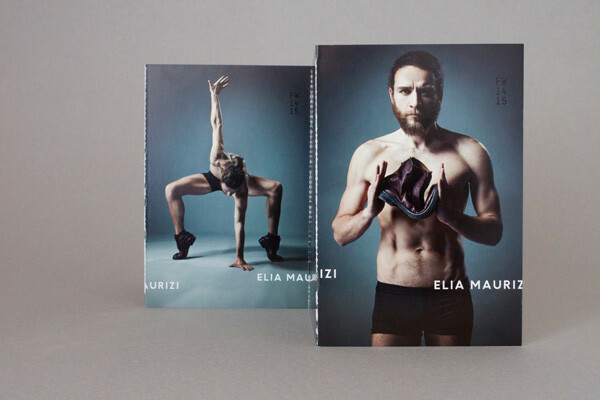 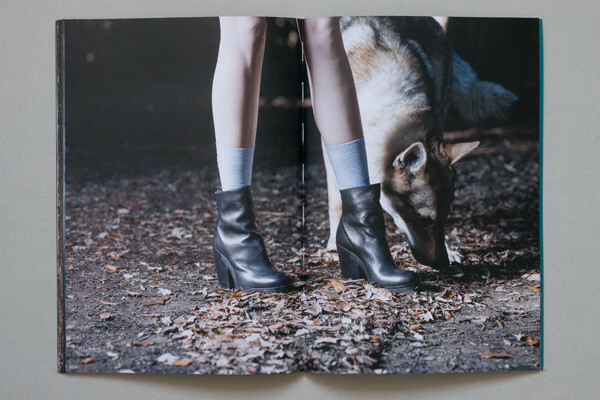 Graphic design and page layout of the catalogues Elena Iachi and Elena Iachi sneakers. 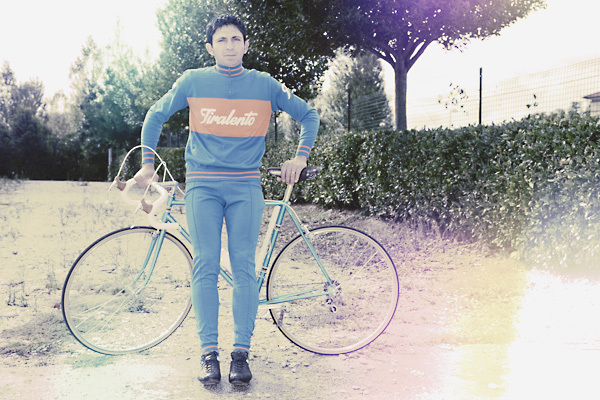 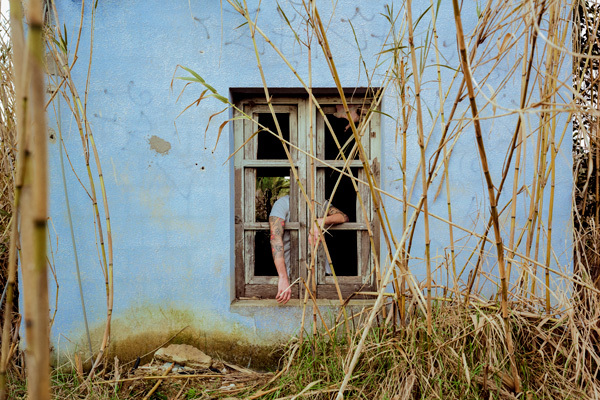 Photo Leonardo Rinaldesi, art direction Eva Squadroni. 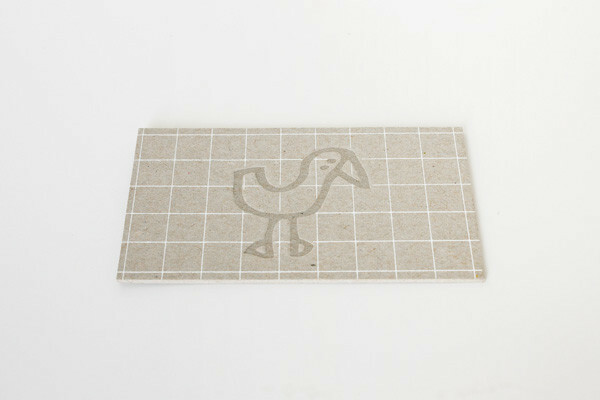 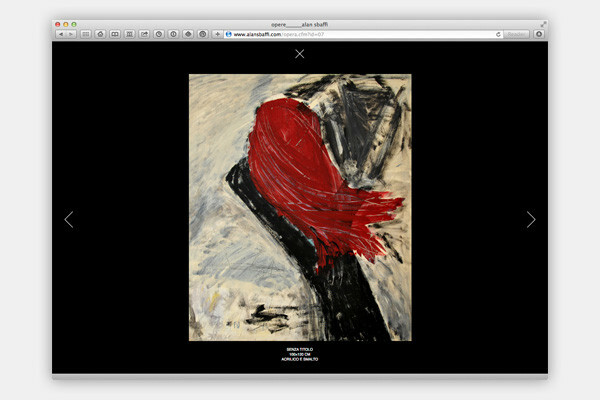 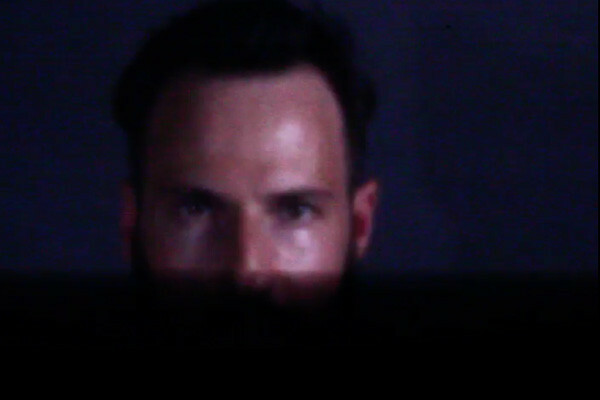 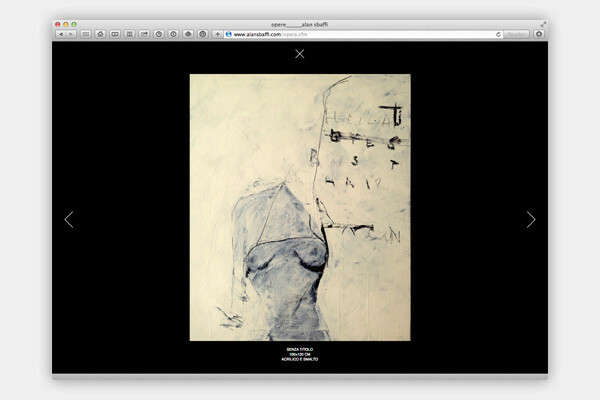 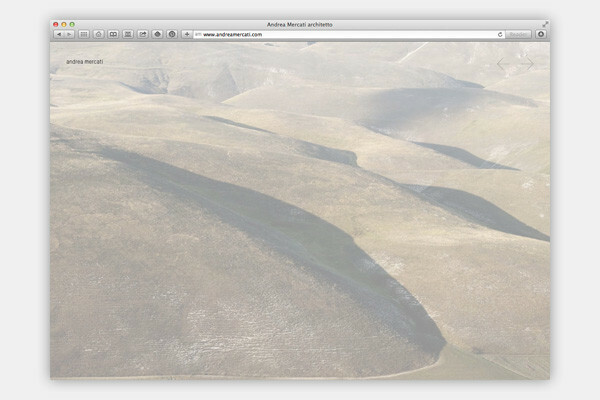 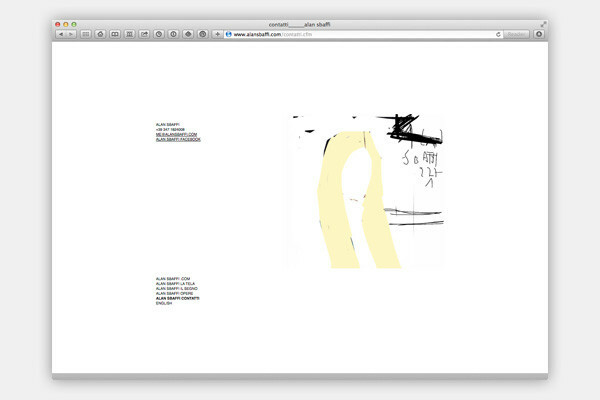 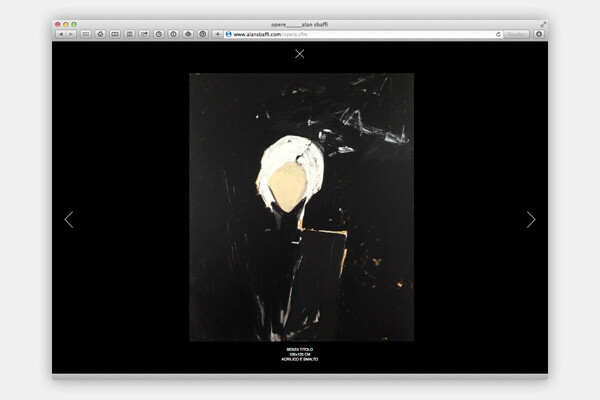 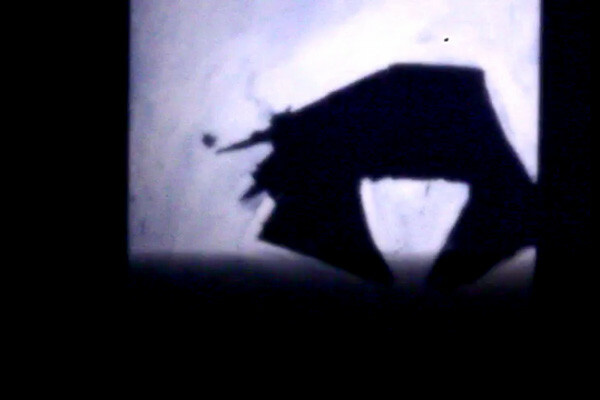 Website for the contemporary artist Alan Sbaffi. 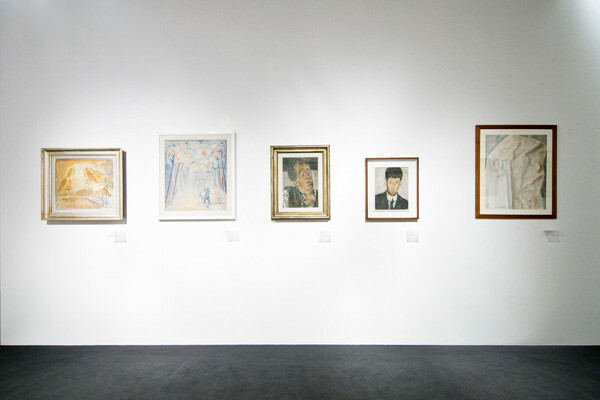 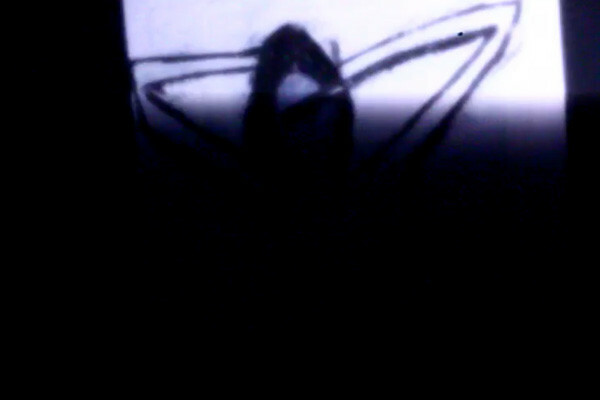 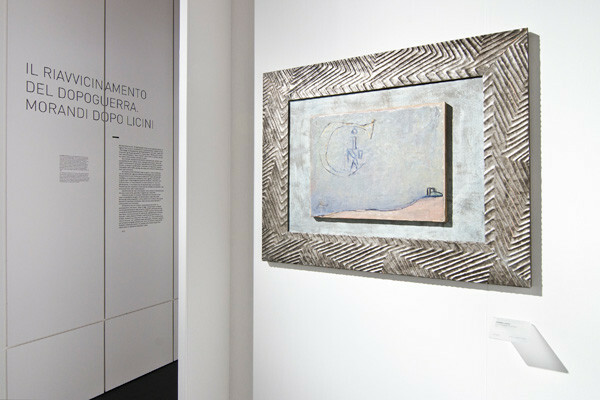 His prolific work – all made ​​on canvases of the same size – it’s all focused on a single subject: the woman. 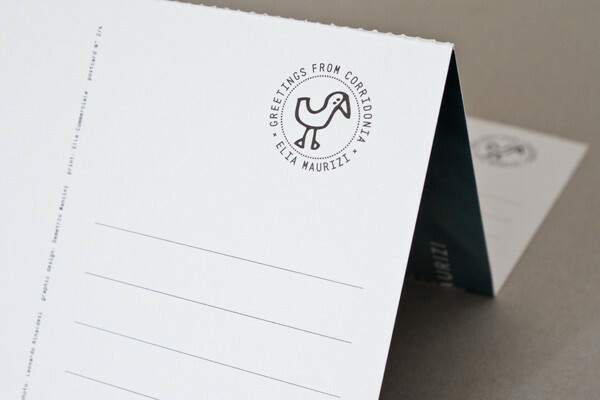 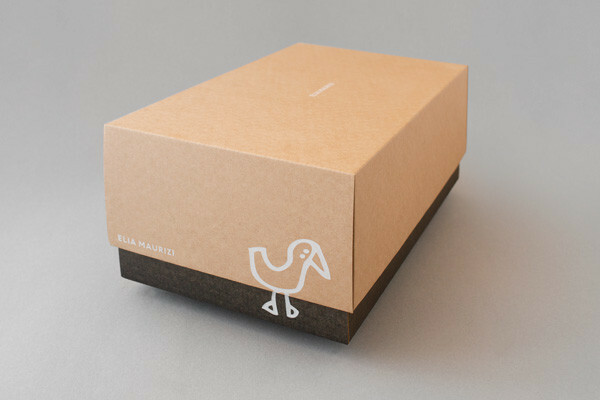 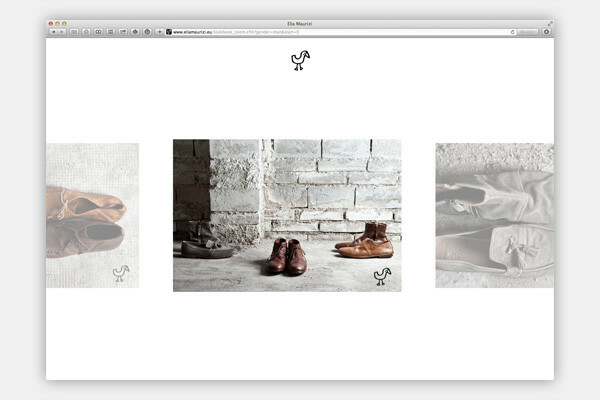 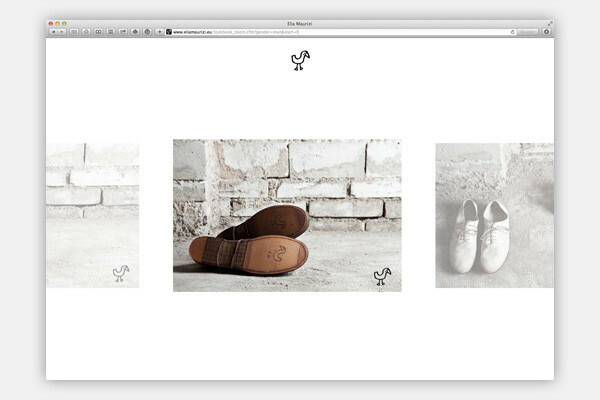 Website development, promotional material, shoebox and logotype redesign for Elia Maurizi, a young shoe stylist moved by a passion for all that belongs to the past. 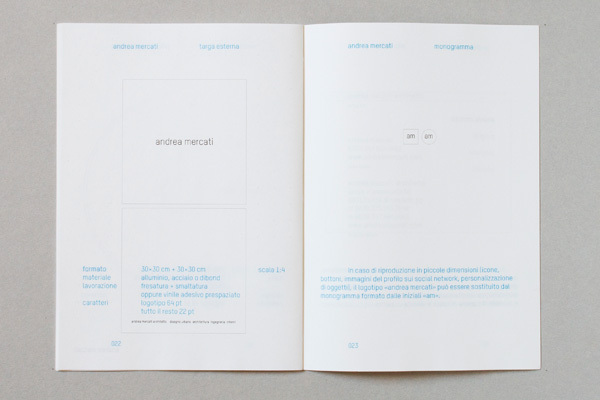 Visual identity project for the architect Andrea Mercati based on a single typeface, one weight, two sizes from business cards to A0, a monochromatic palette. 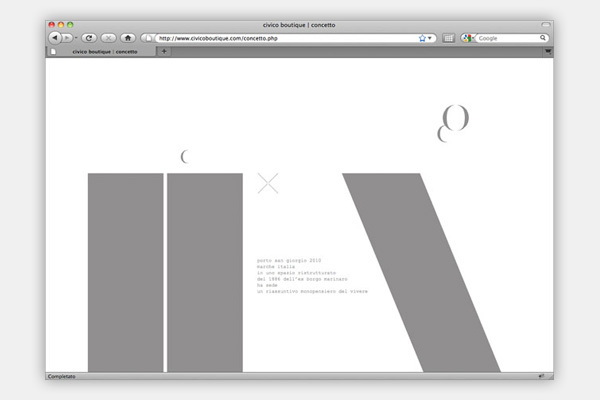 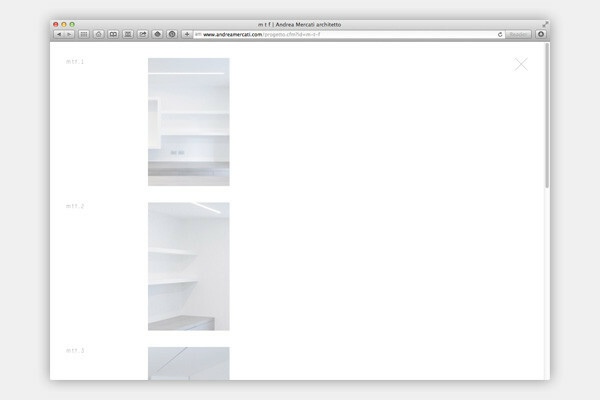 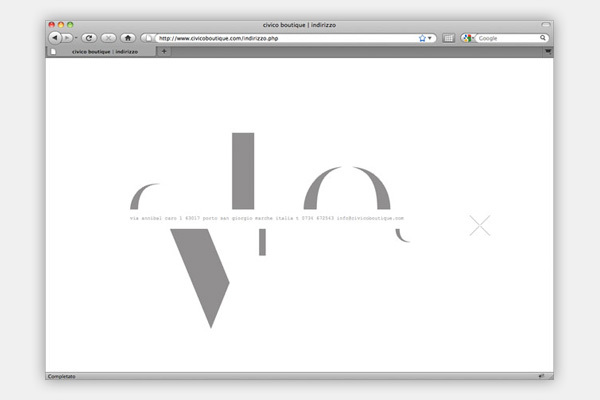 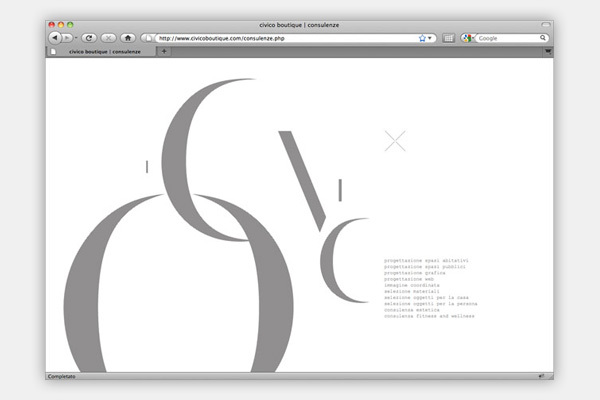 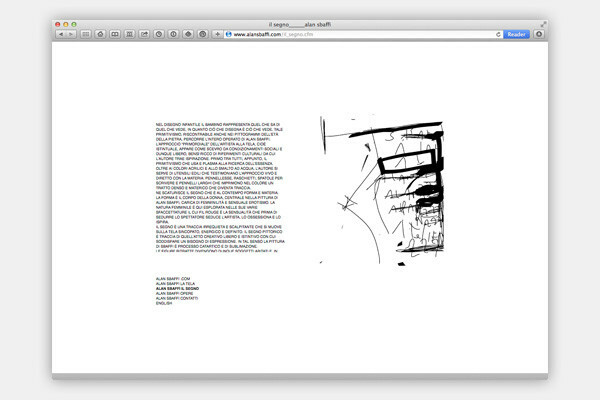 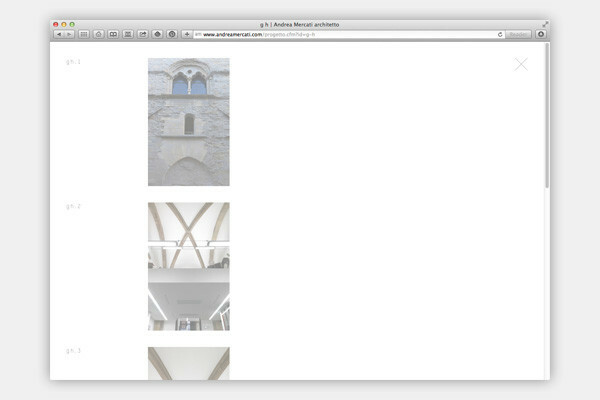 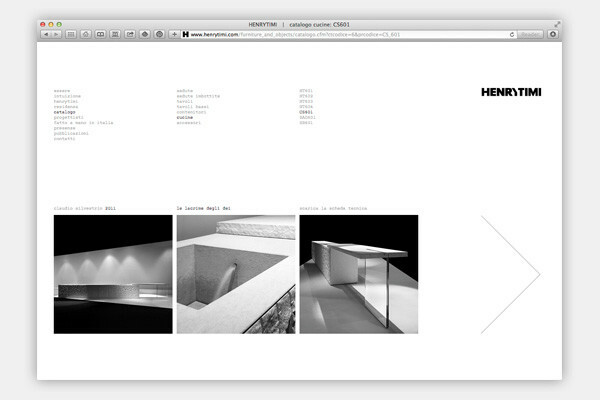 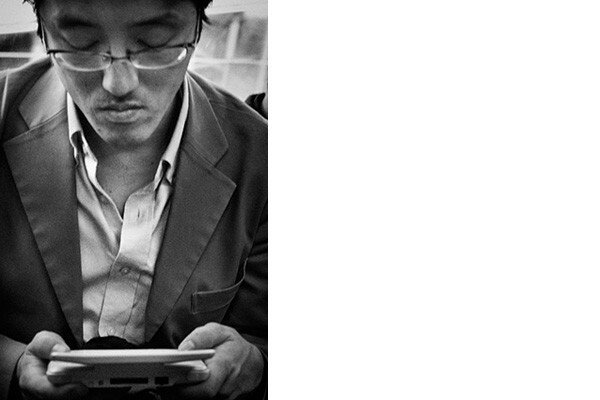 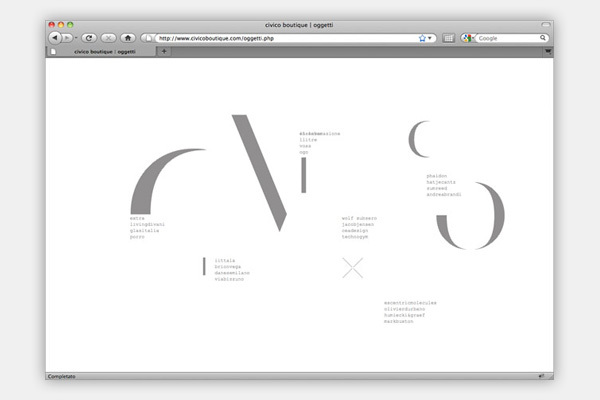 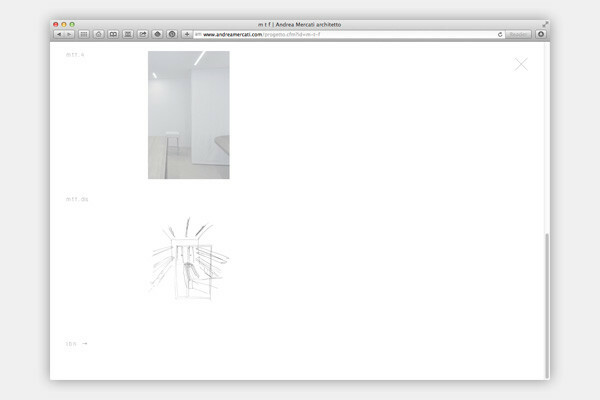 The website enhances his essential architectural expression. 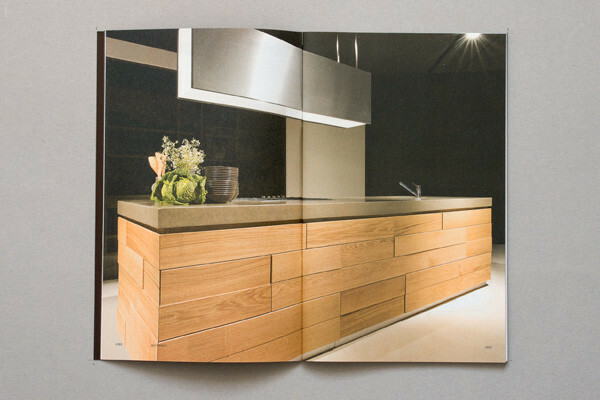 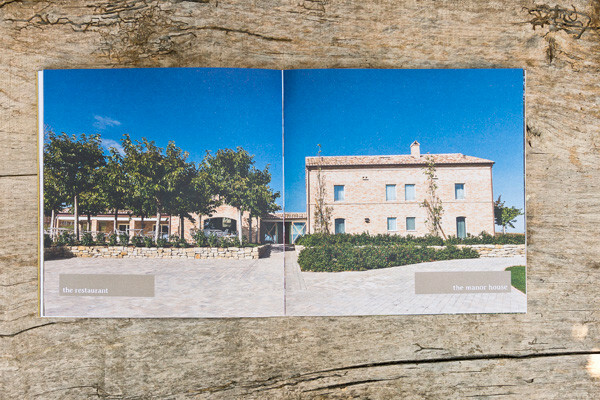 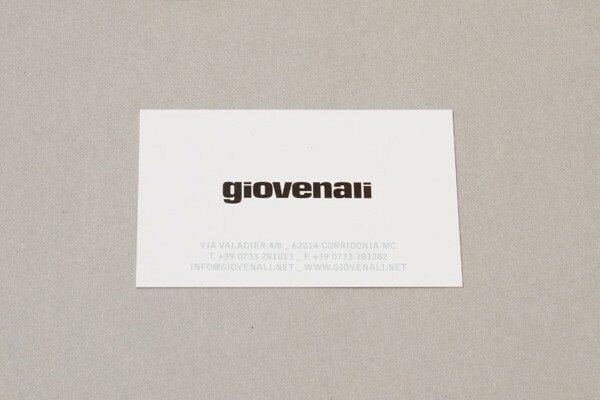 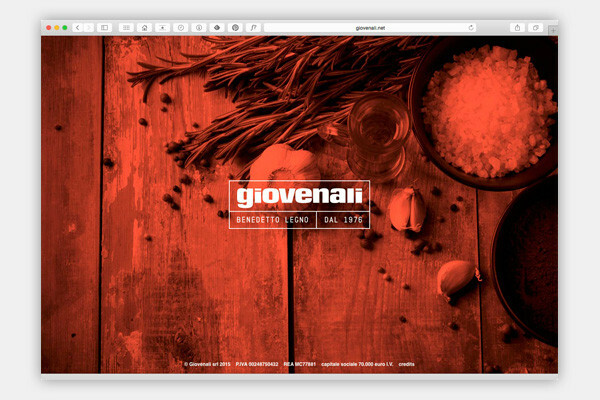 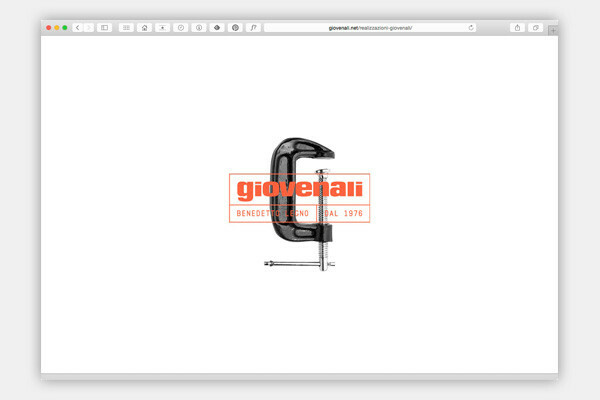 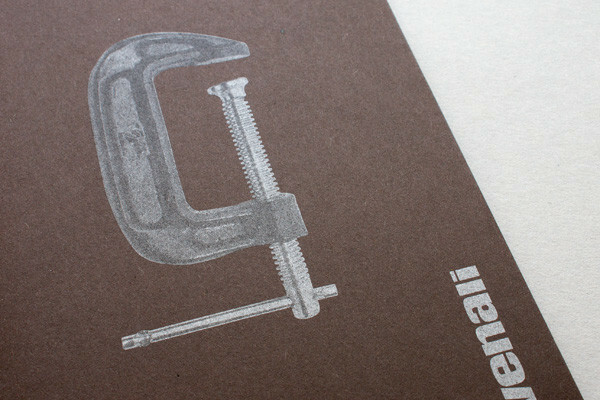 Brochure, photography, business cards, advertising campaign and website for Giovenali, a carpentry specialized in fitted kitchens and furniture. 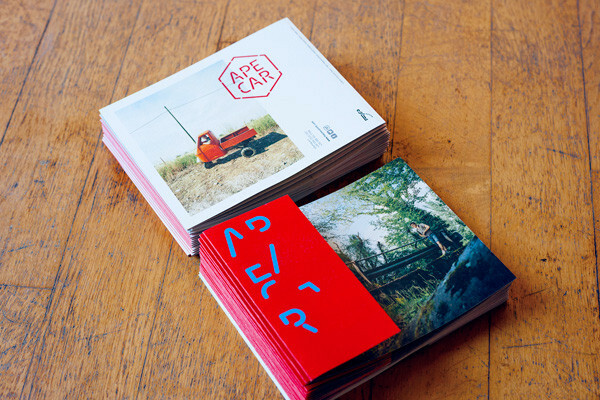 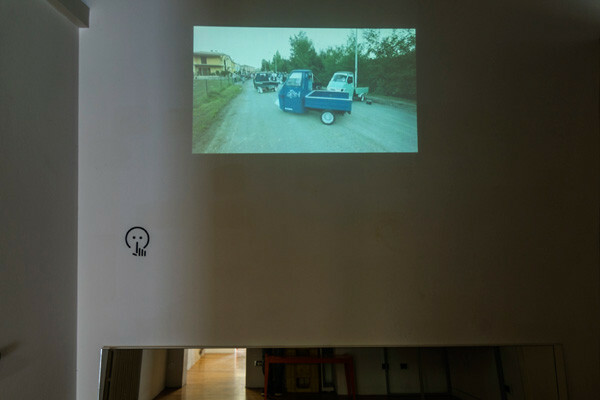 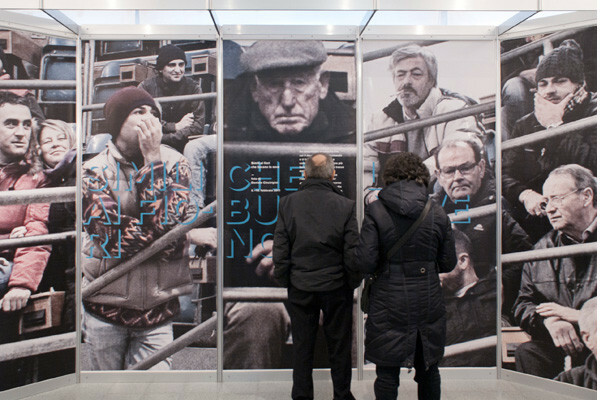 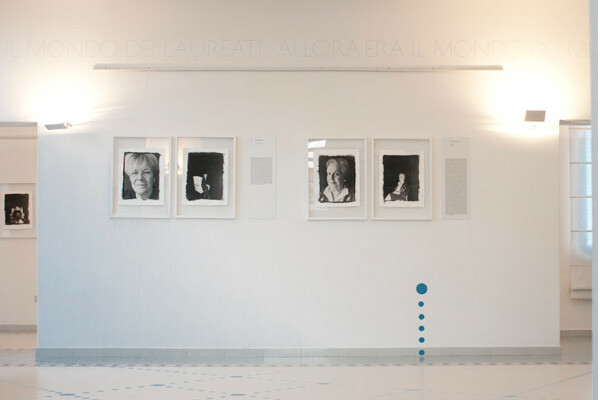 Exhibition design and promotional material for the exhibition Ape/car identità in movimento by Mauro Corinti, at the Galleria Insieme of Ascoli Piceno. 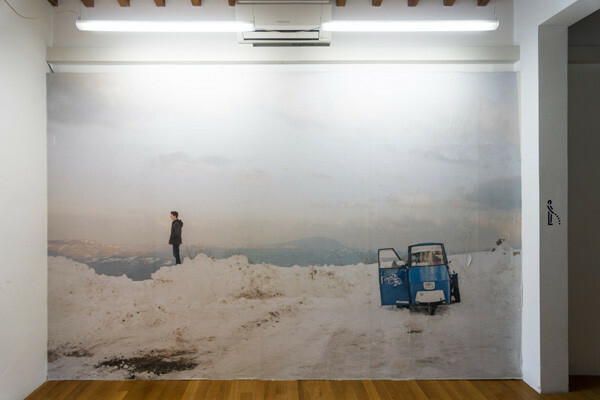 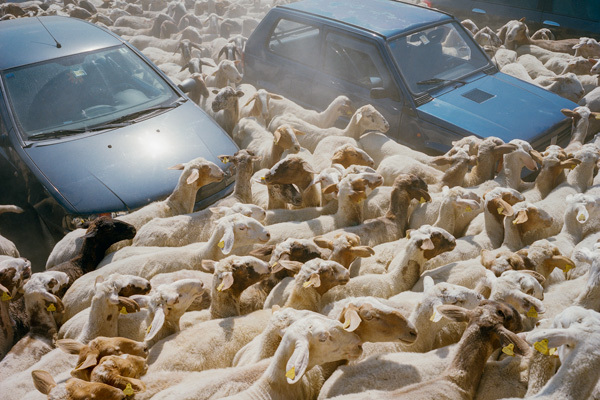 The photographer has researched the widespread use of three wheeled vehicles among teenagers in the Marche hinterland. 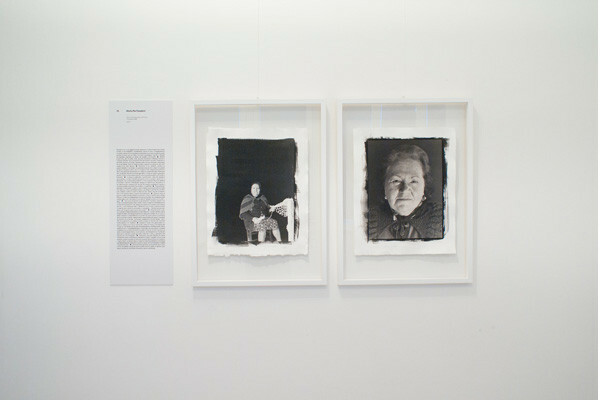 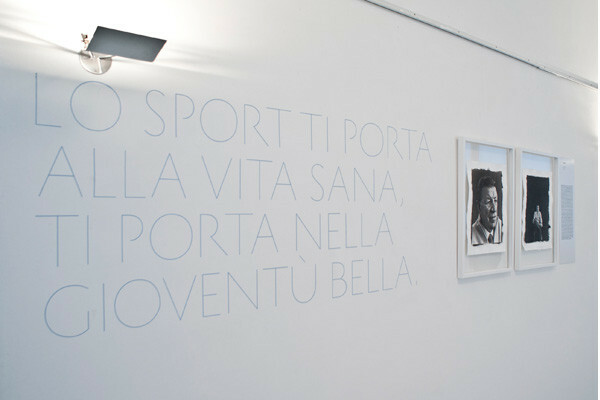 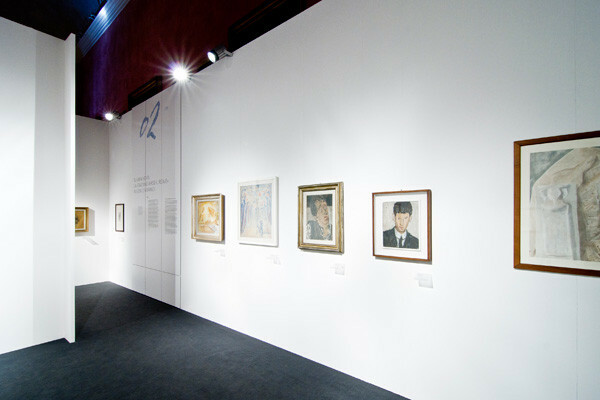 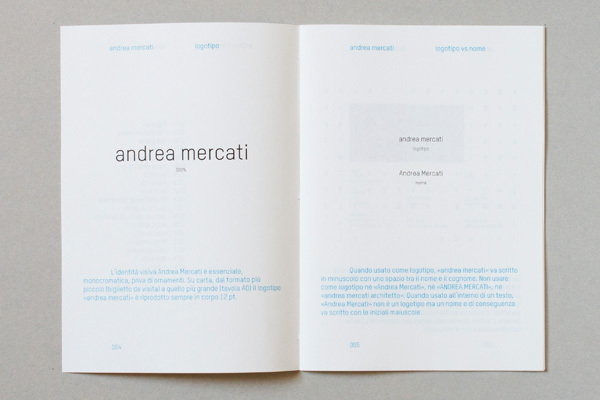 The exhibition is organized by Anna Laura Petrucci. 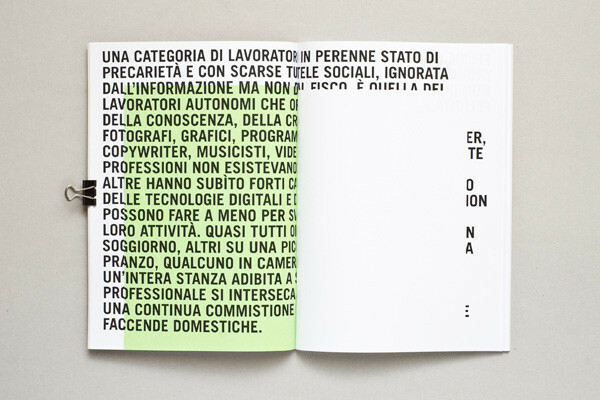 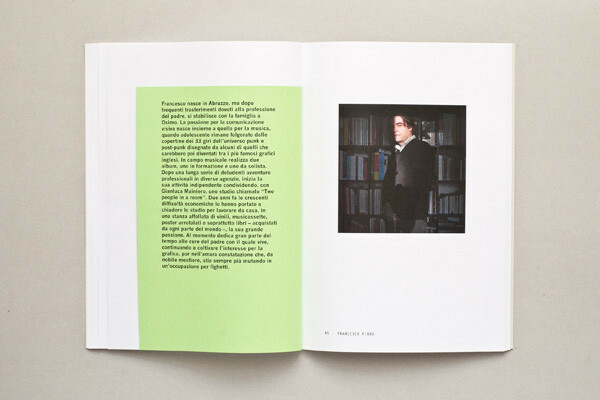 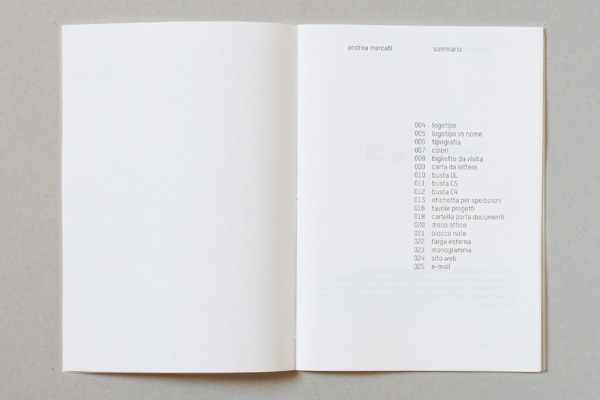 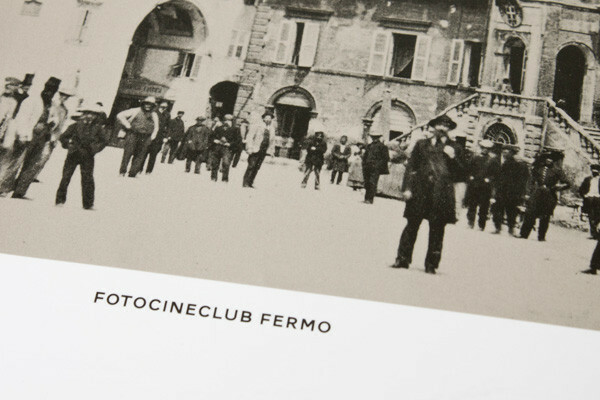 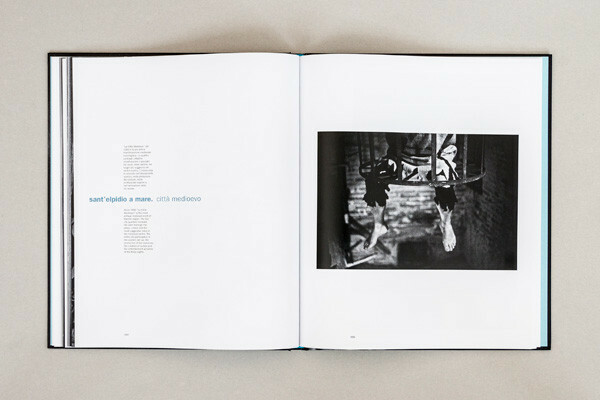 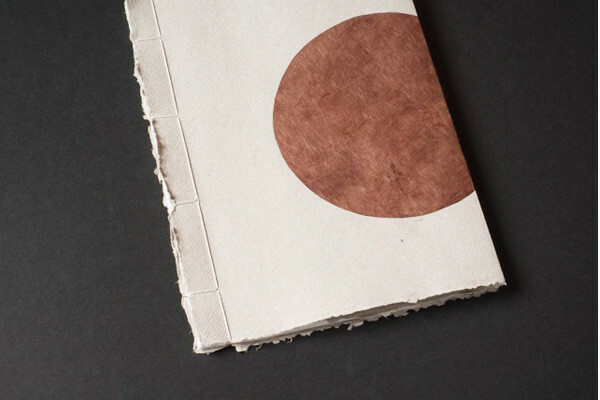 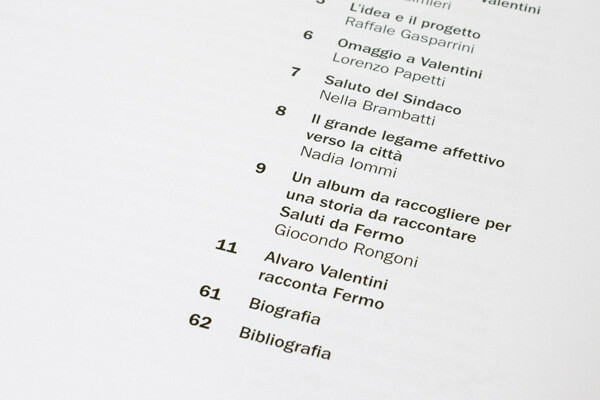 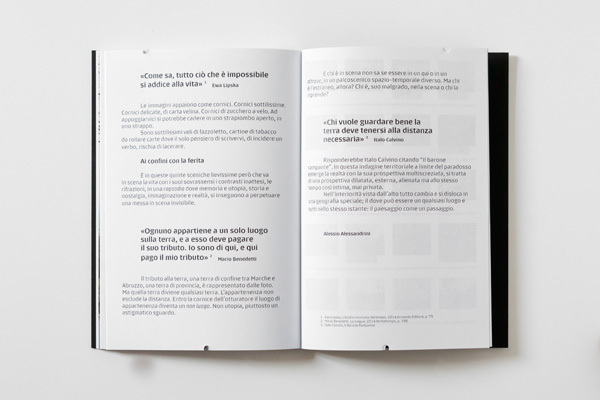 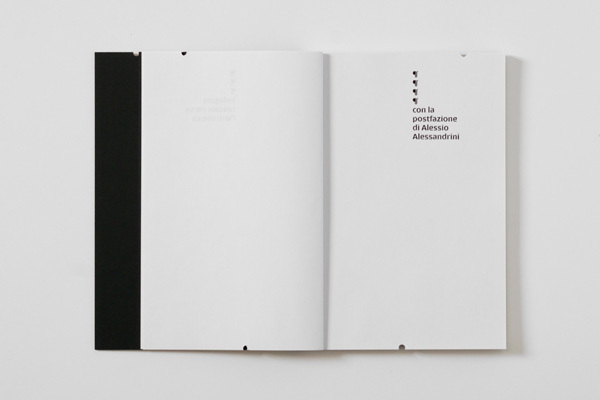 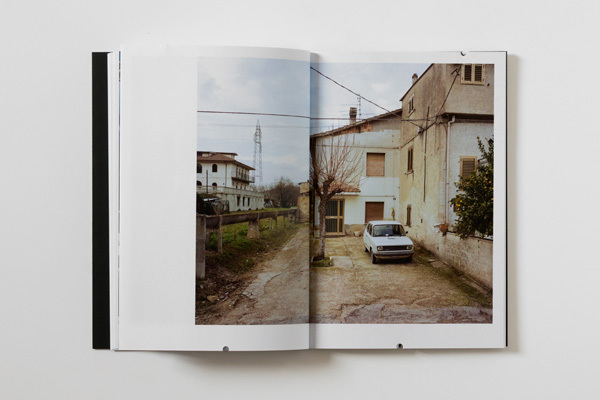 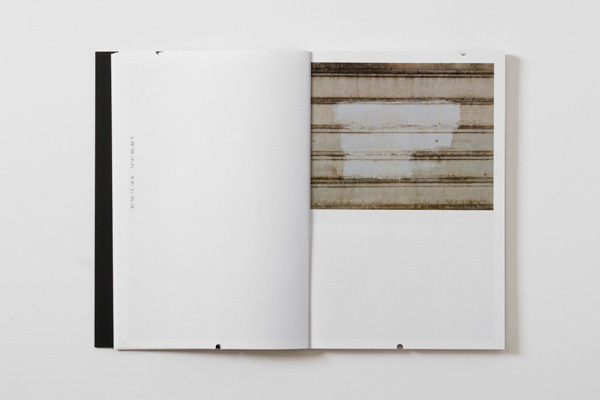 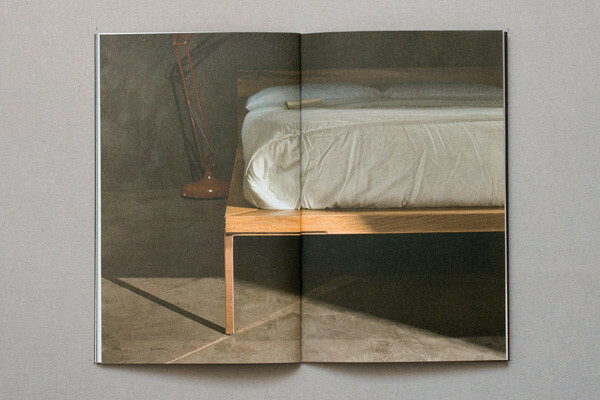 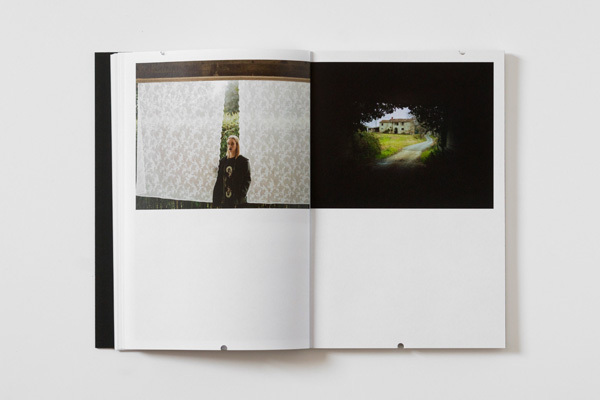 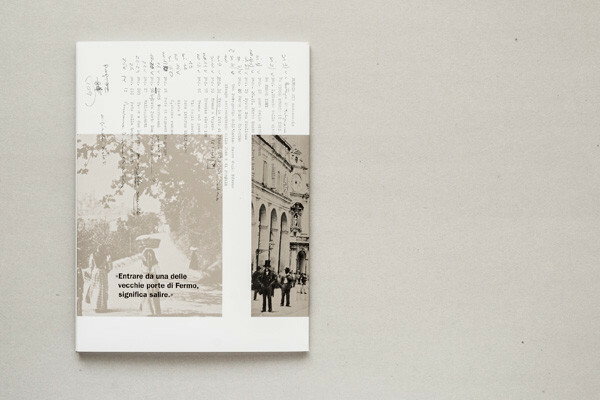 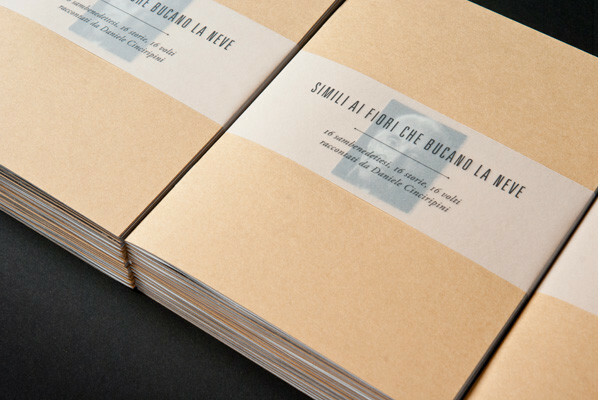 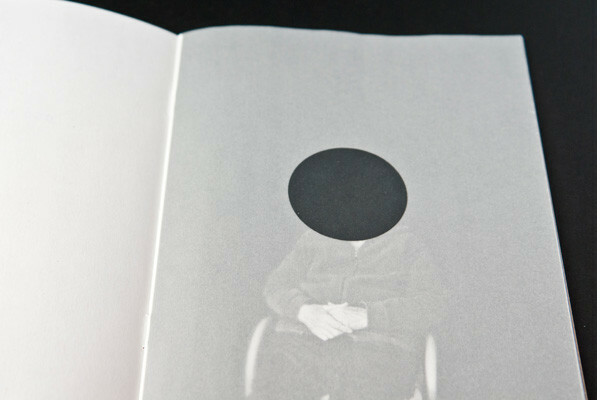 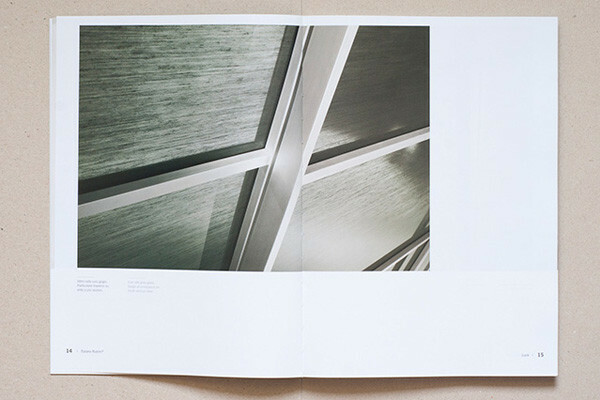 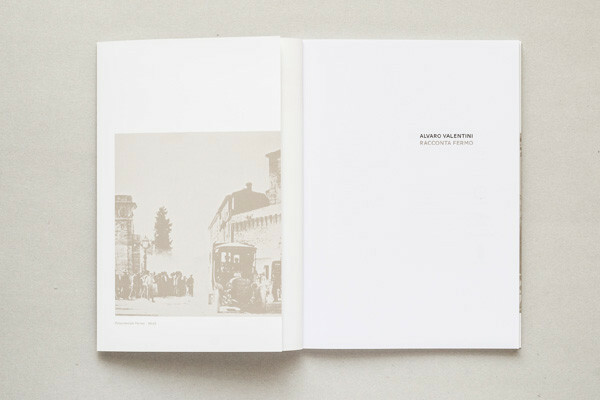 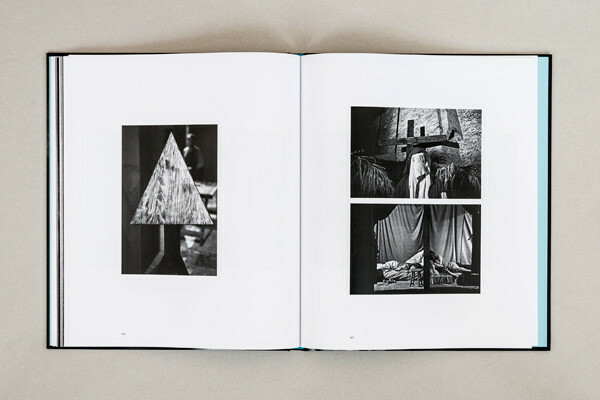 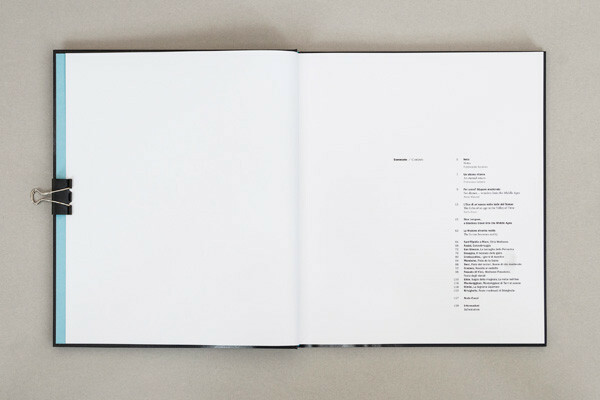 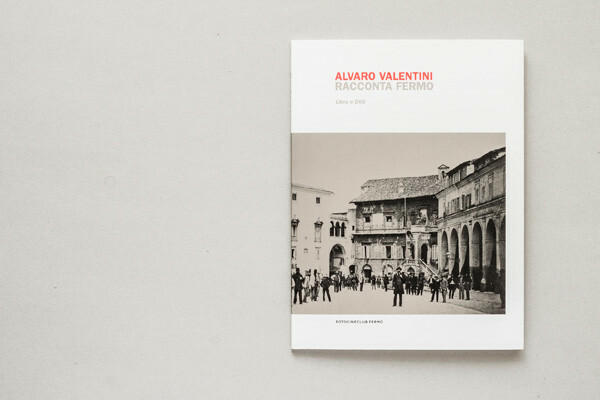 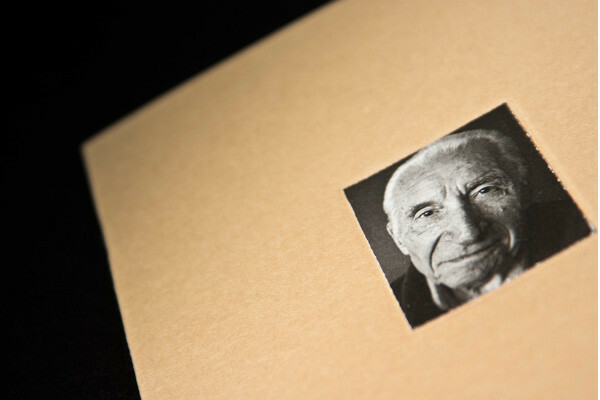 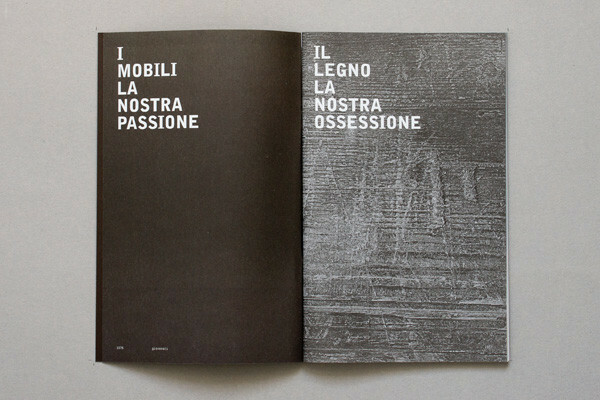 Book design for Alvaro Valentini racconta Fermo, edited by Fotocineclub Fermo. 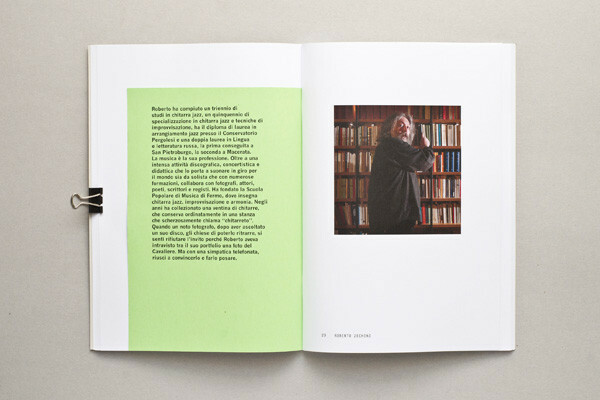 Published sixteen years after the death of the author – including an unpublished story with images selected by Raffaele Gasparrini – one of the protagonists of the Fermo cultural context of the last century. 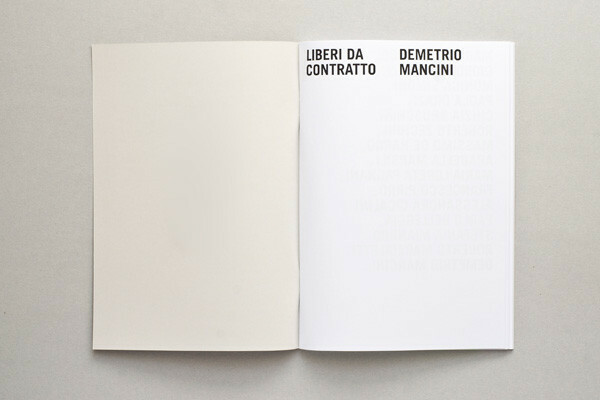 Liberi da contratto are those workers who are under a continuous state of job insecurity with scarce social protection, ignored by the mass media but not by the revenue; they are self-employed professionals who work in the field of knowledge, art and creativity. 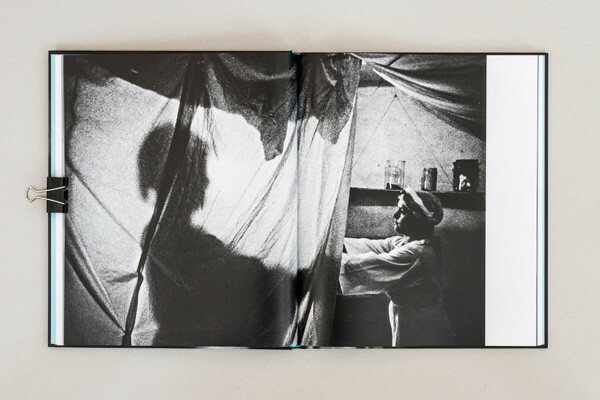 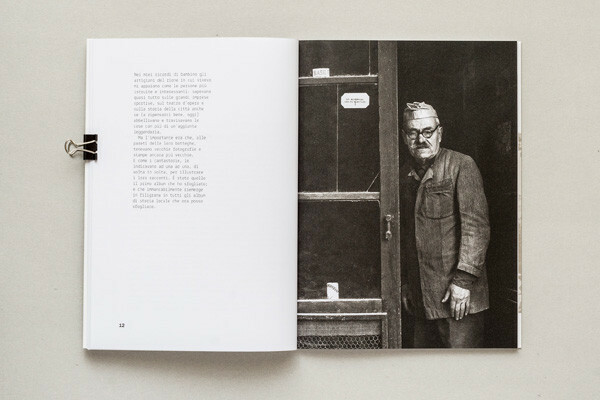 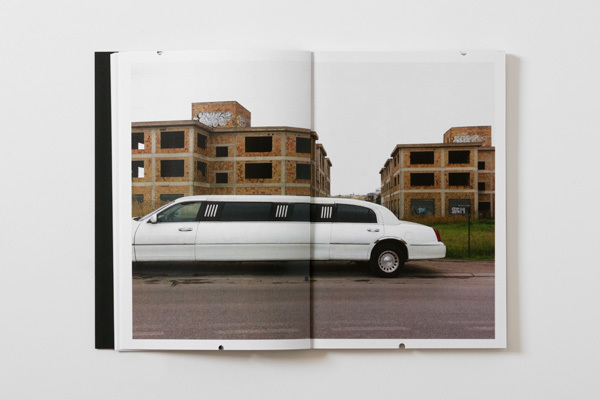 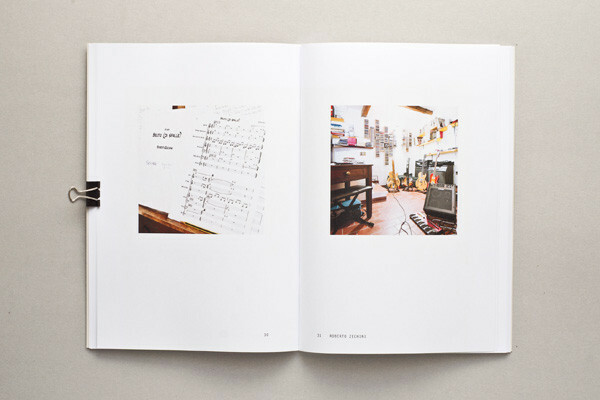 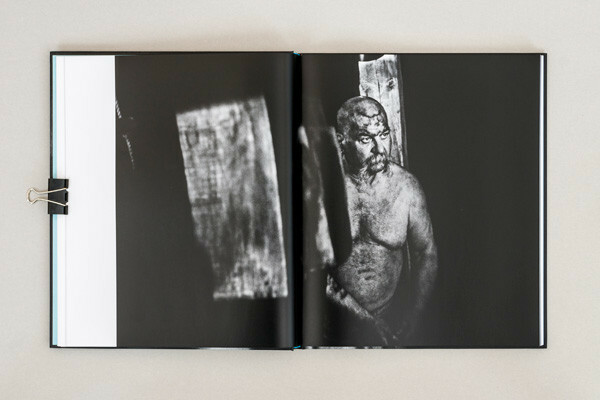 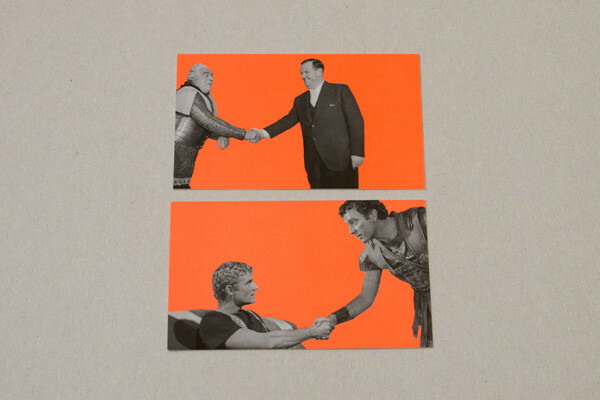 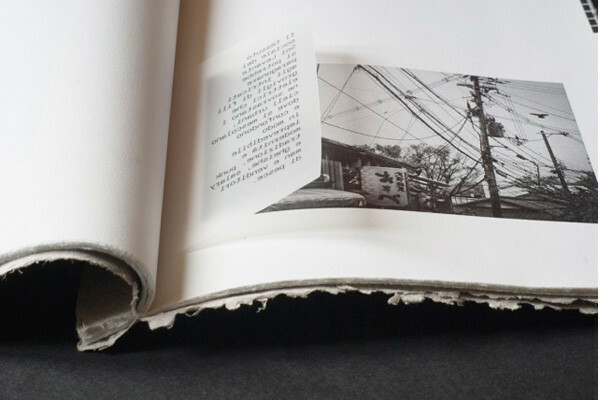 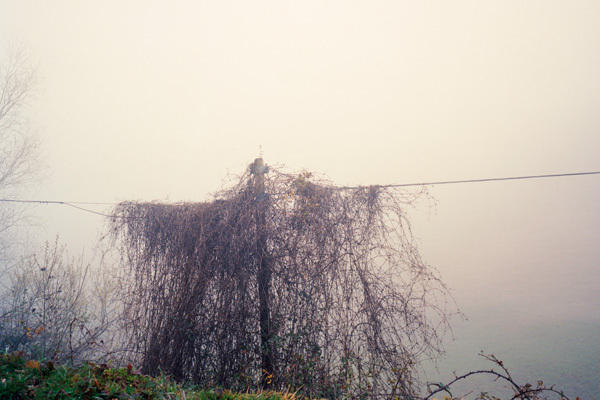 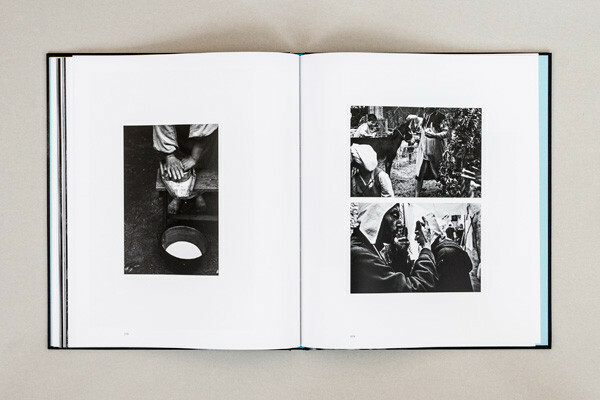 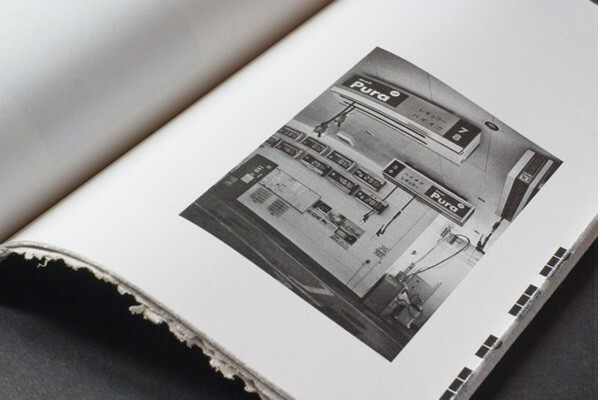 This photographical project has become a self-edited book published in 40 copies. 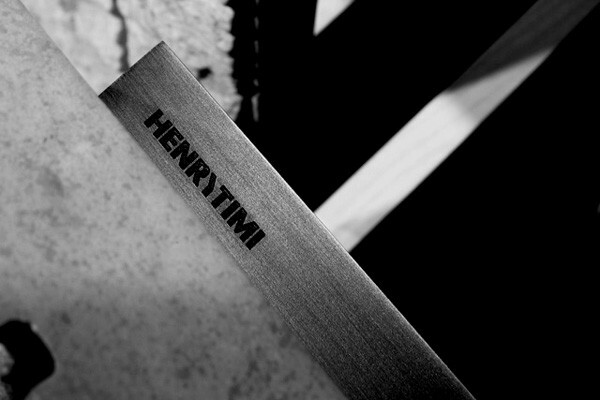 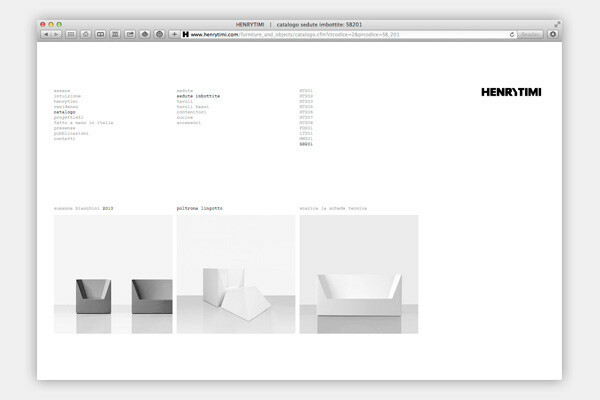 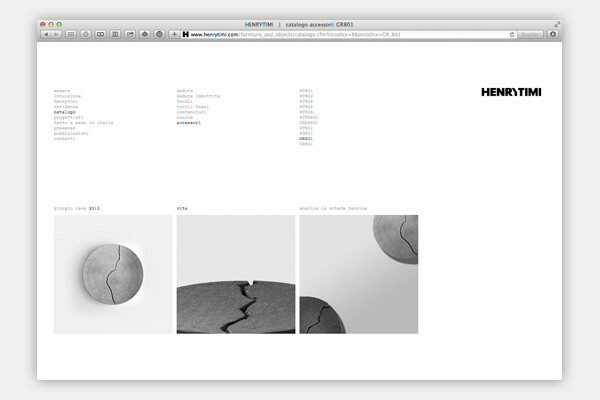 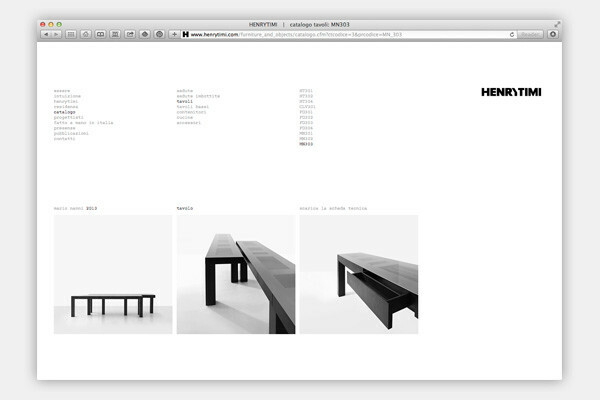 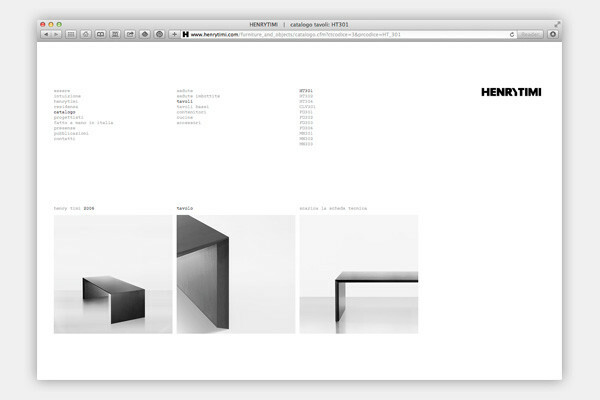 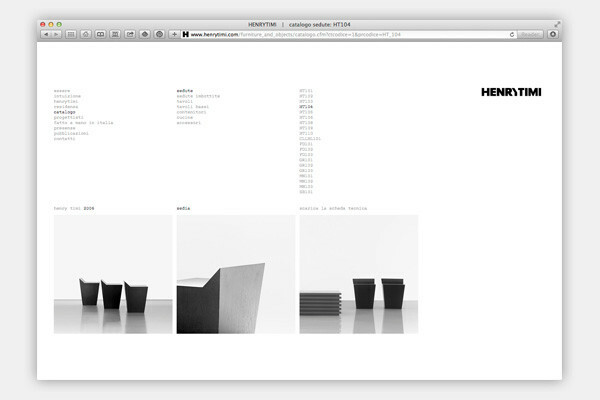 Logotype design and website development (2009–2015 †) for HENRYTIMI, a brand of minimalist objects and complementary furnishings developed by the founder Henry Timi and by Claudio Silvestrin, Mario Nanni, Federico Delrosso, Susanna Bianchini. 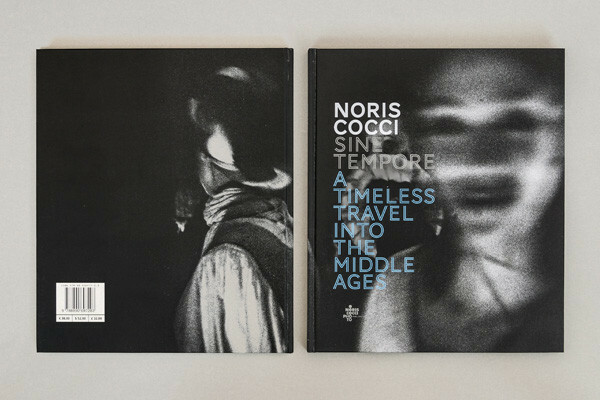 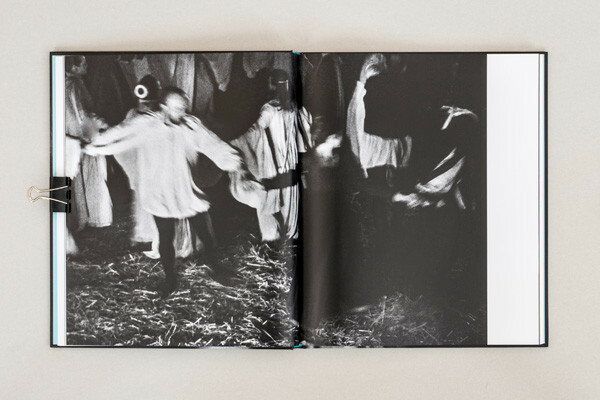 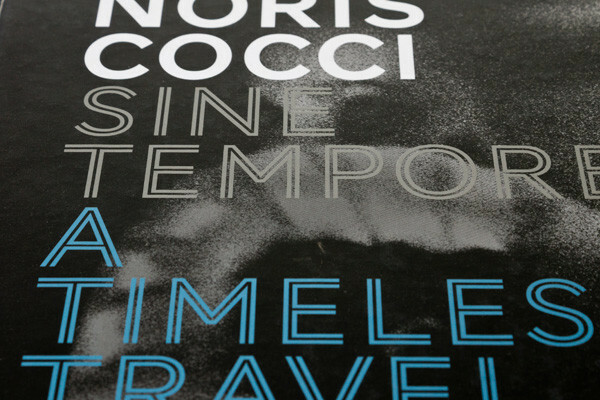 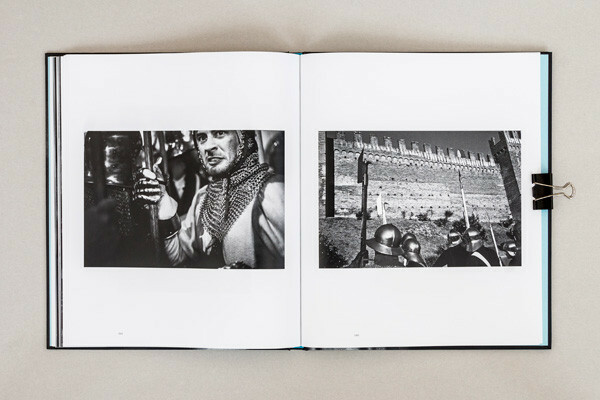 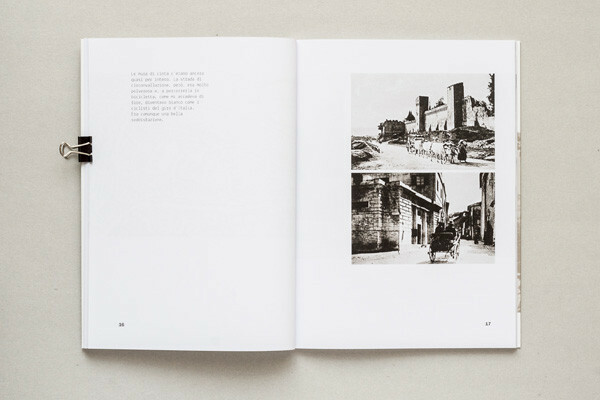 Sine tempore, a timeless travel into the Middle Ages is a self-published book by the photographer Norris Cocci, as the result of years of travelling in Italy in search for the most picturesque medieval historical re‑enactments. 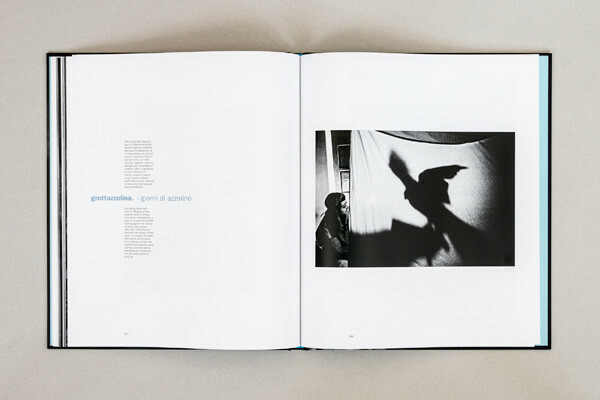 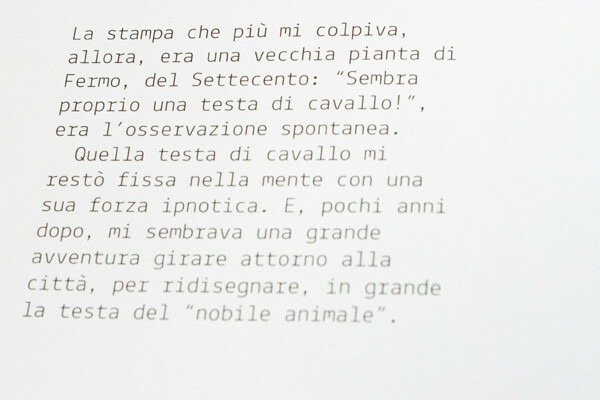 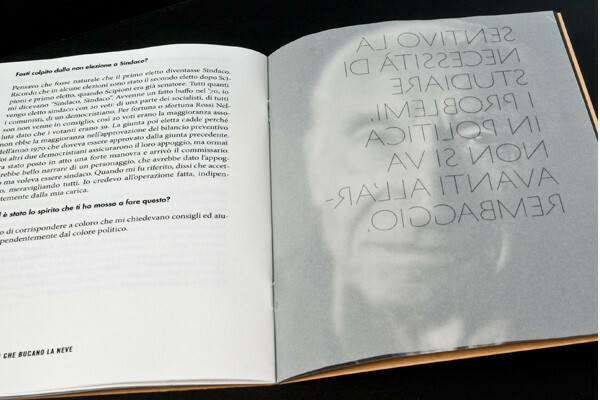 Texts by Ferdinando Scianna, Francesco Colotta, Anna Maurizi. 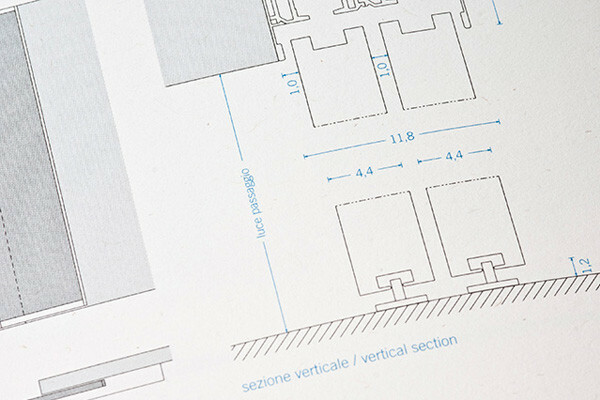 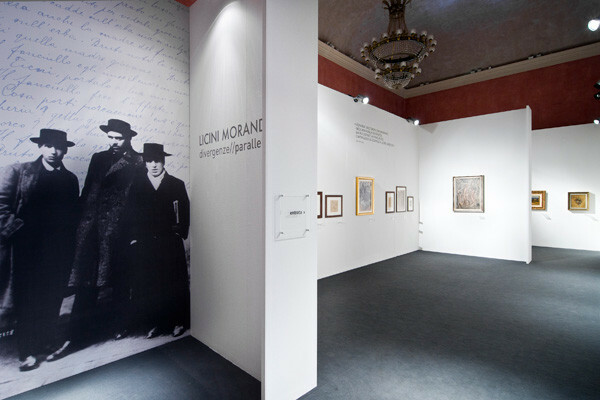 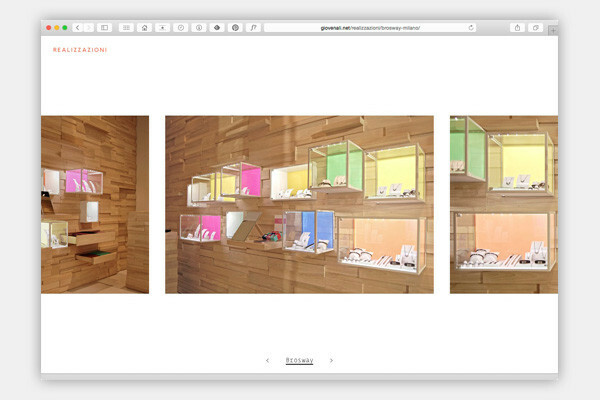 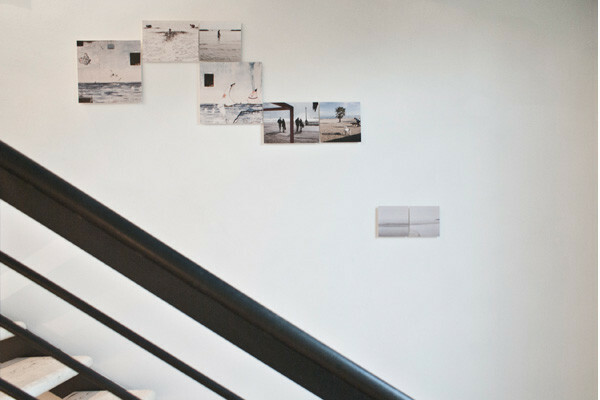 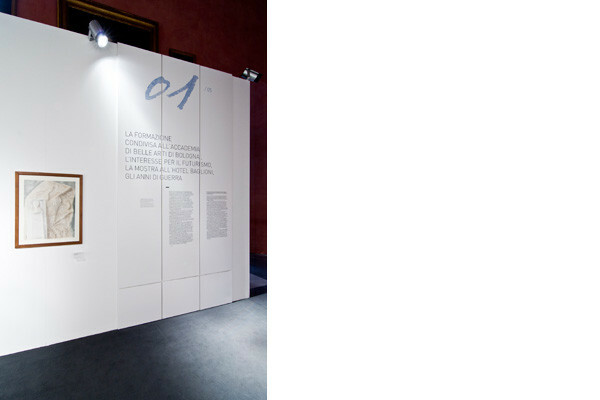 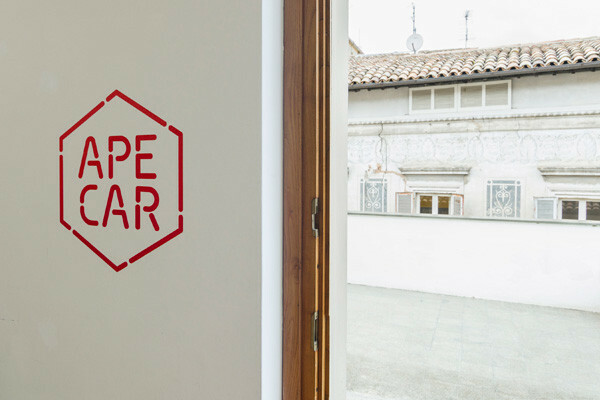 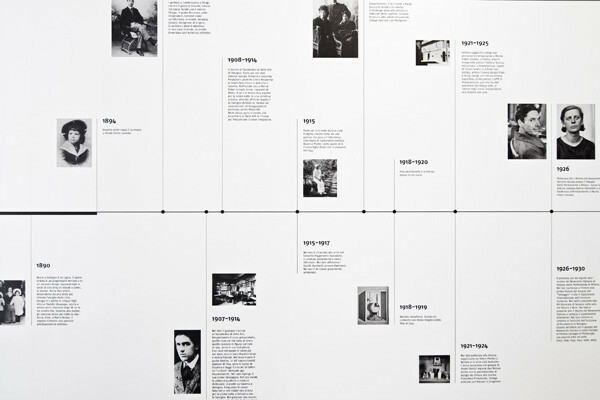 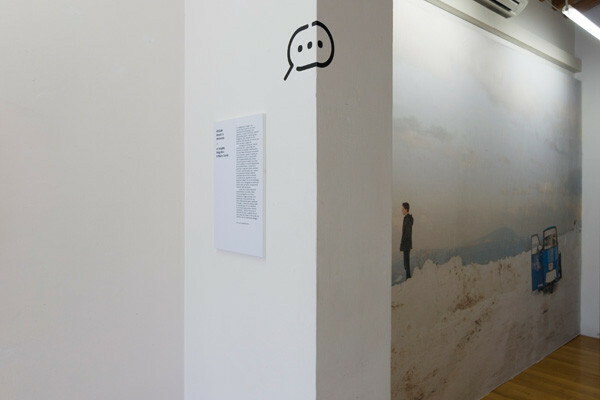 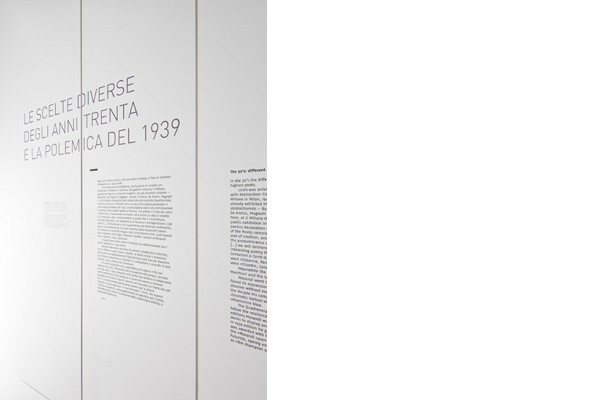 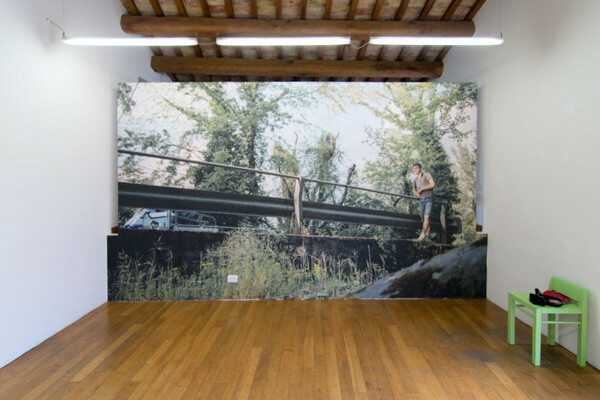 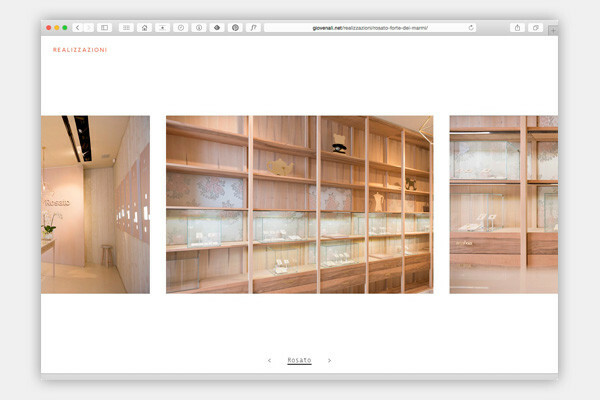 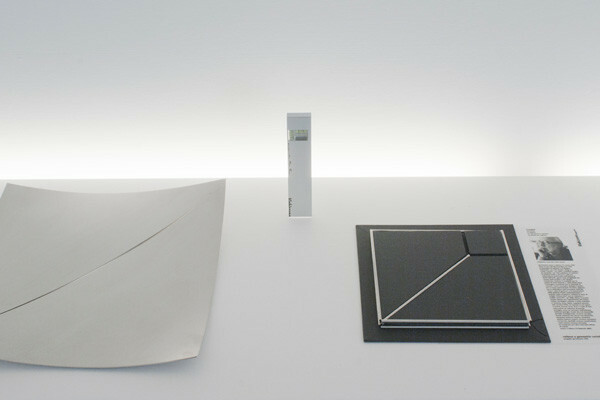 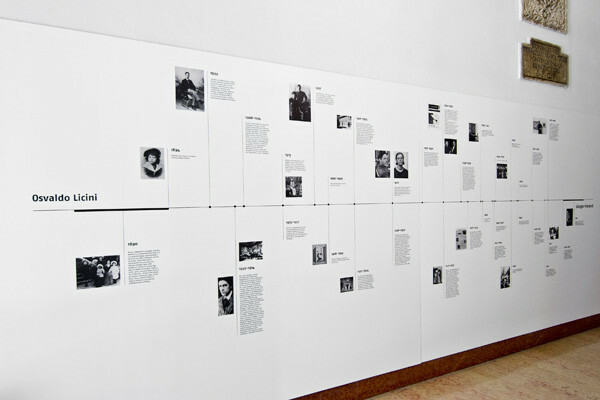 Exhibition design — in collaboration with Monica Simoni — of Licini-Morandi divergenze parallele. 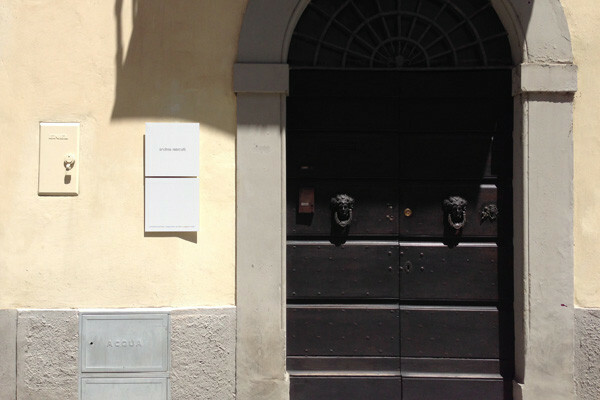 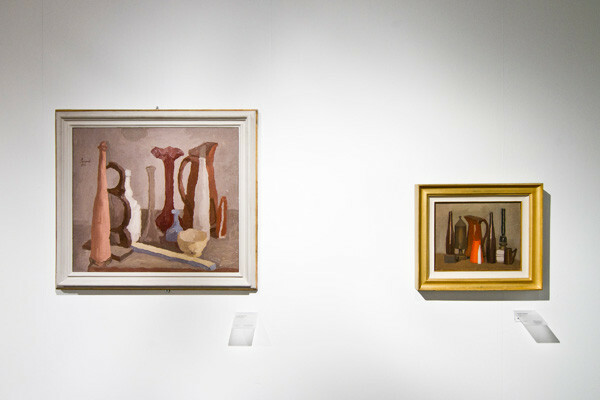 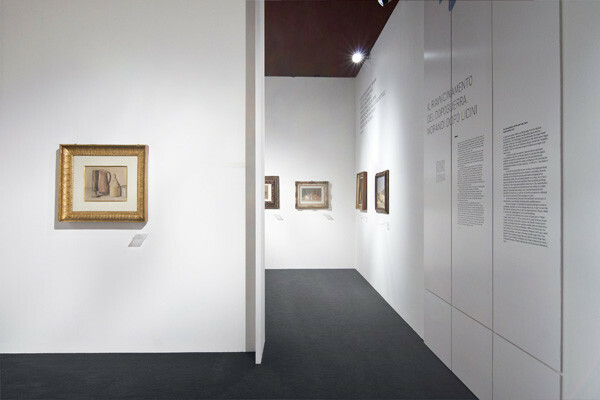 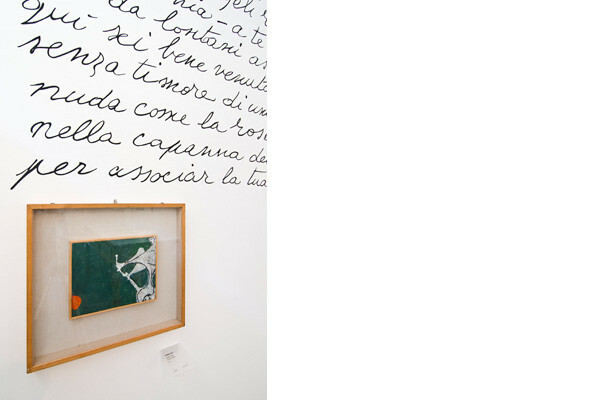 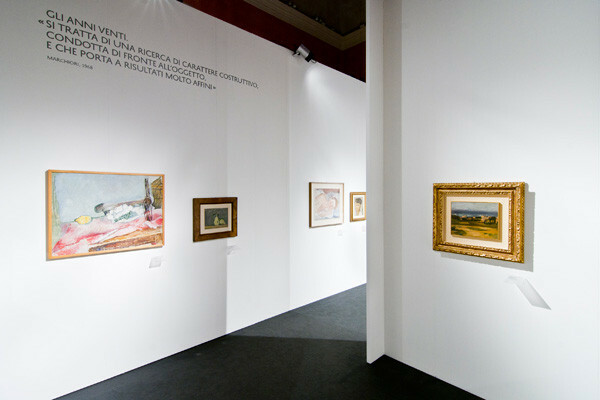 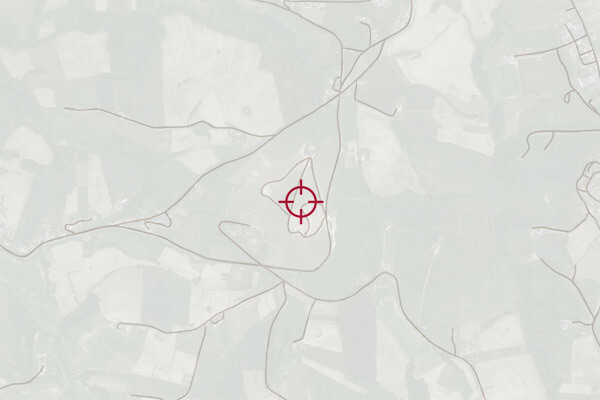 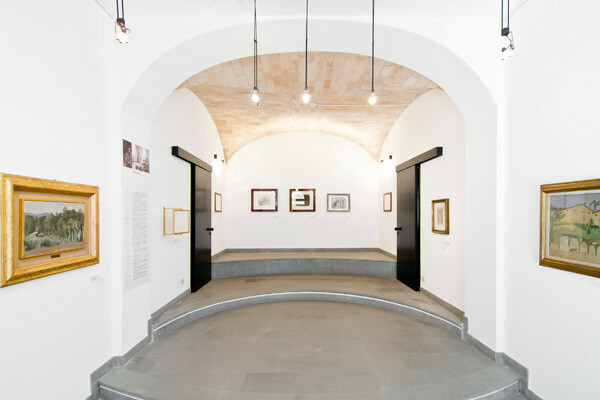 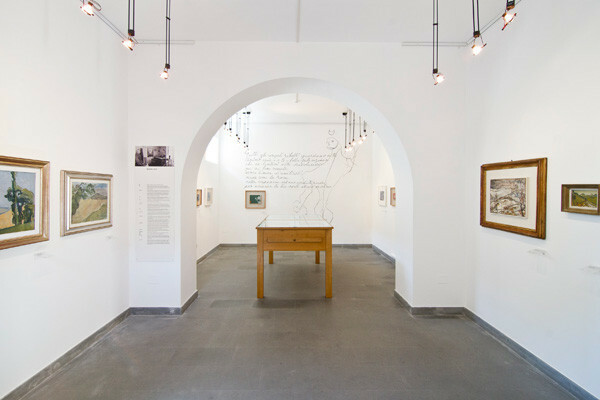 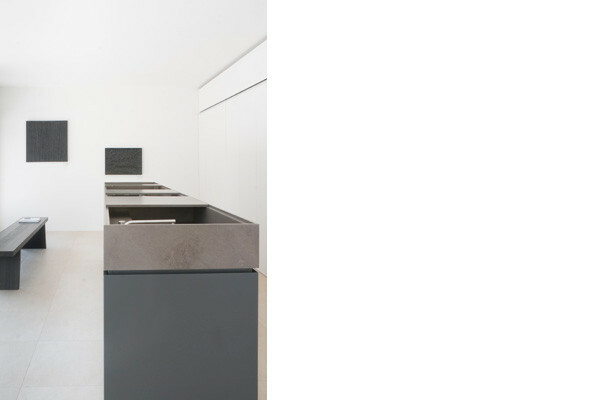 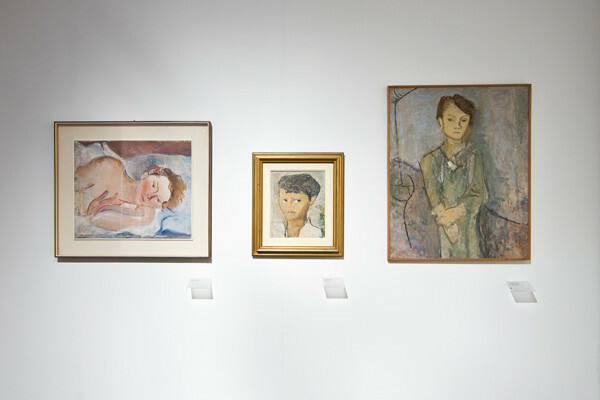 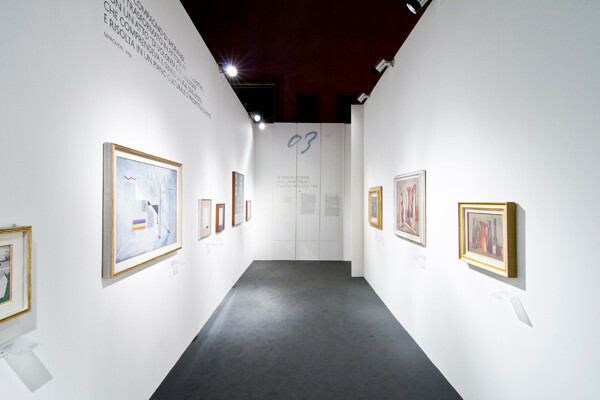 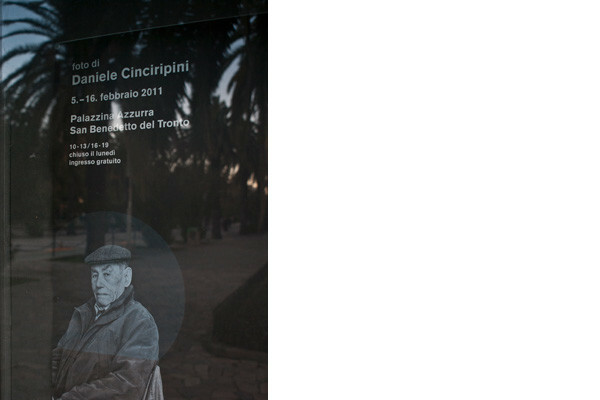 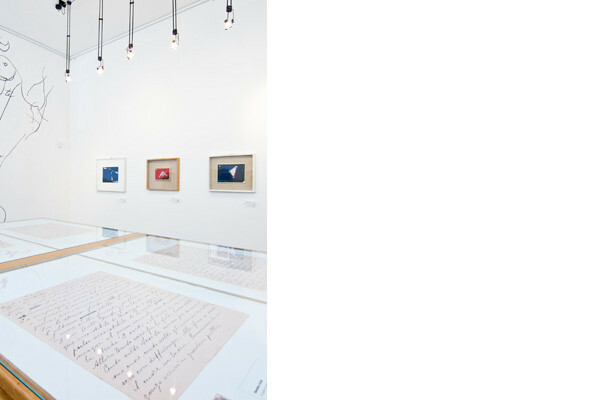 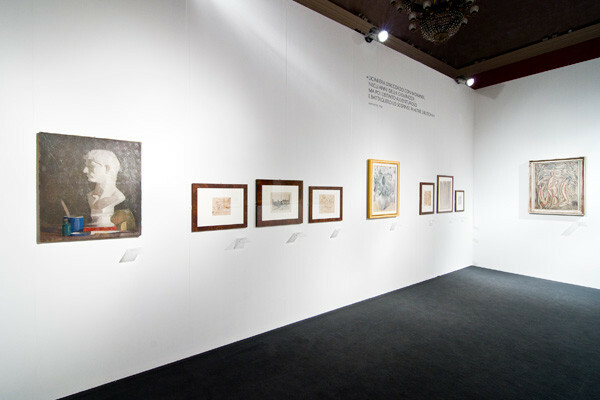 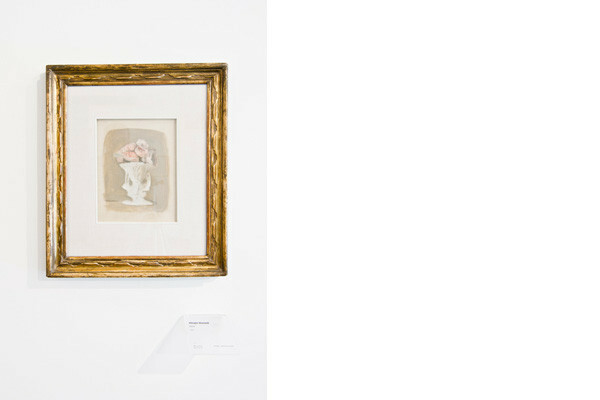 About a hundred works displayed at the two locations in Fermo and Monte Vidon Corrado. 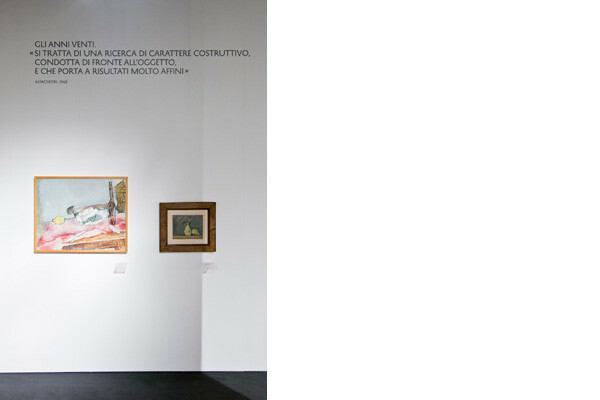 The exhibition, promoted by the Province of Fermo, is organized by Marilena Pasquali and Daniela Simoni. 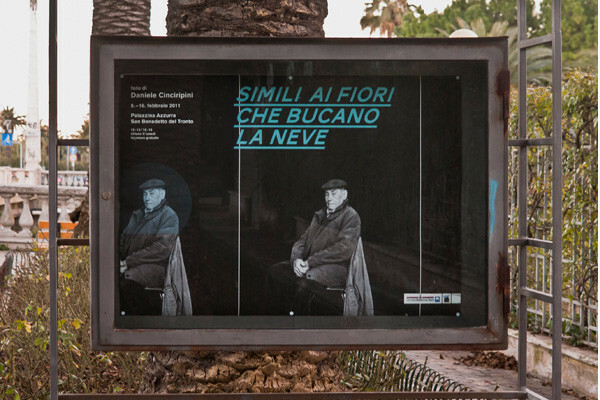 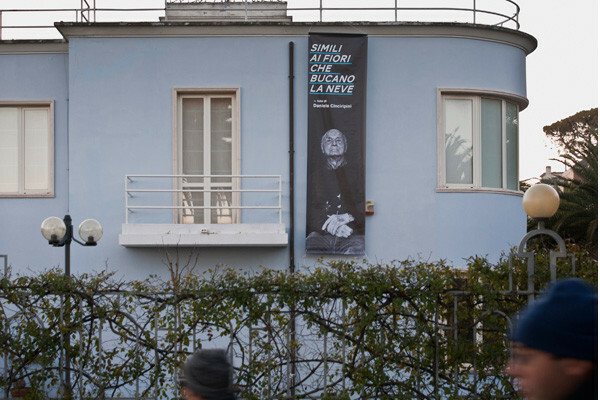 Exhibition design, catalogue design and promotional materials for Simili ai fiori che bucano la neve by the photographer Daniele Cinciripini, organized at the Palazzina Azzurra of San Benedetto del Tronto. 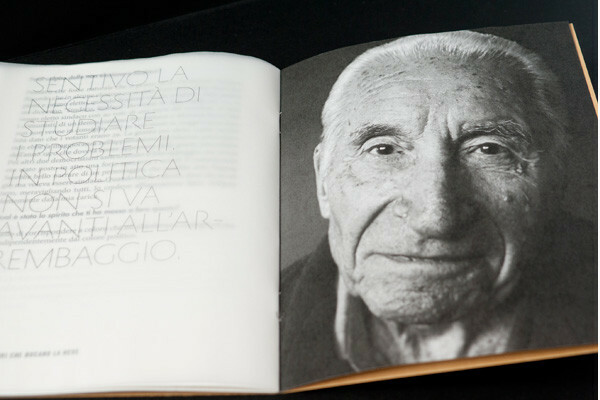 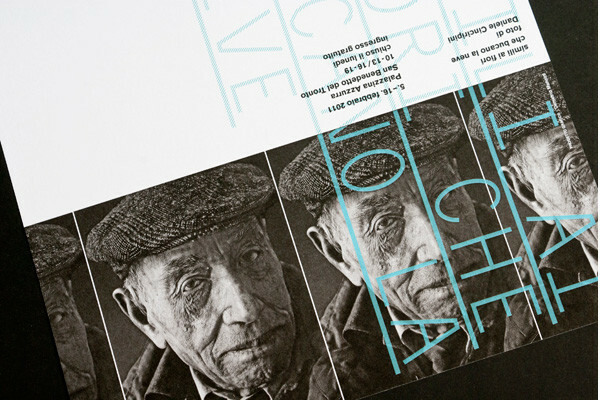 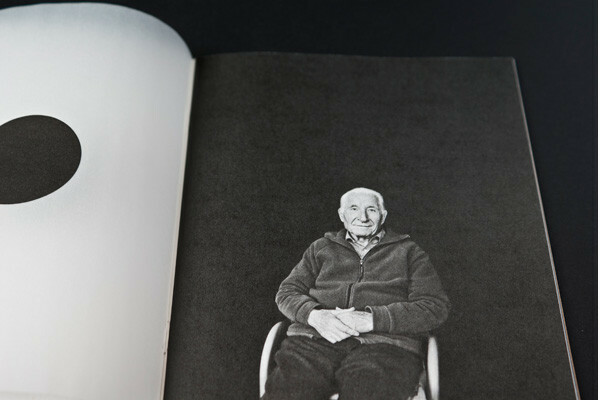 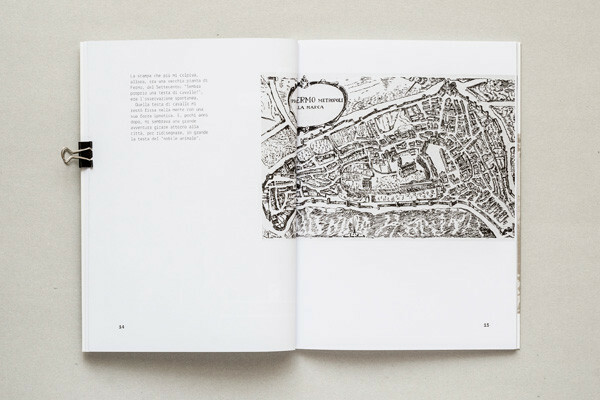 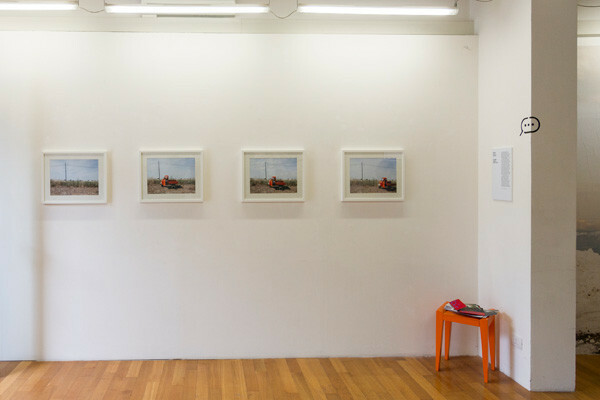 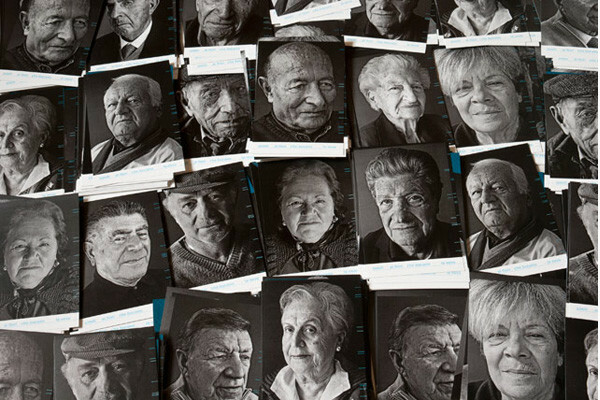 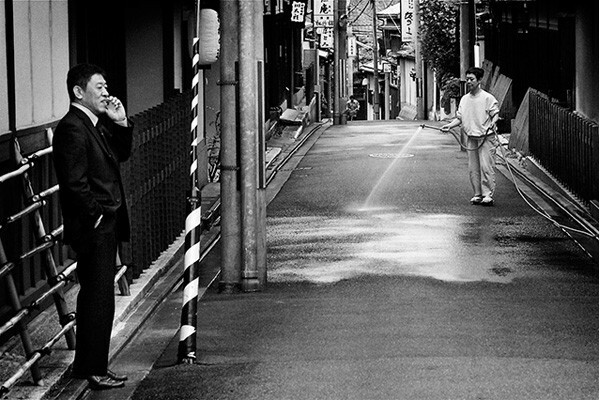 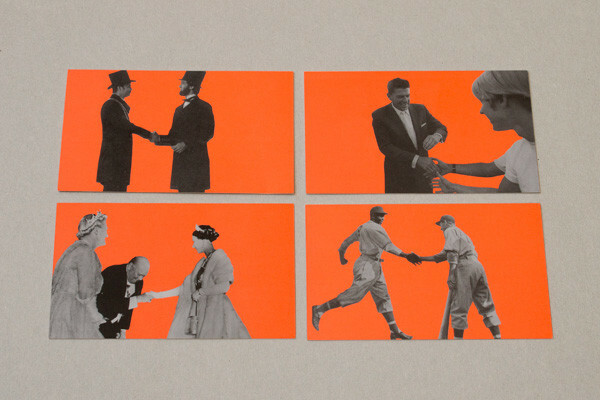 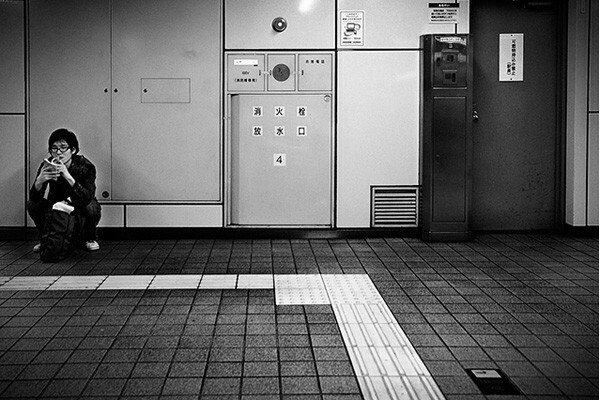 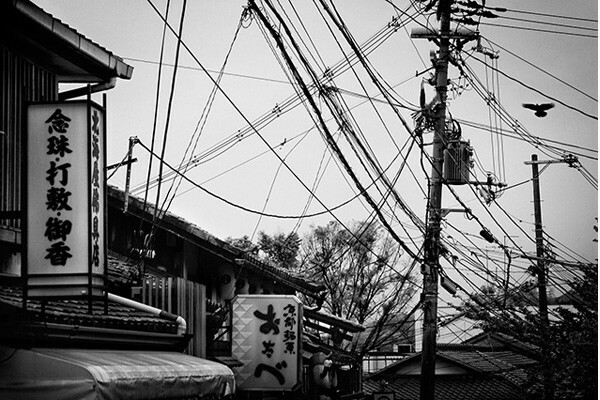 Sixteen elderly people narrate their lives in relation to the city. 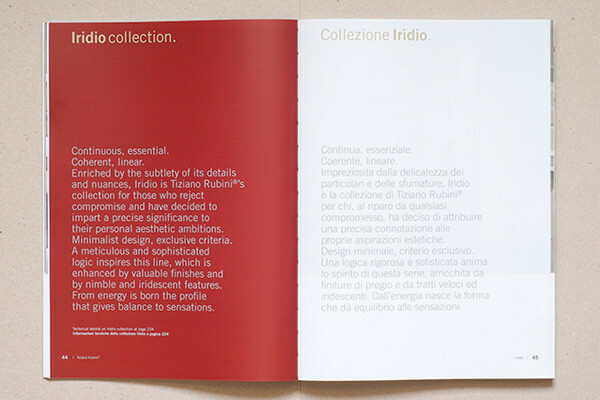 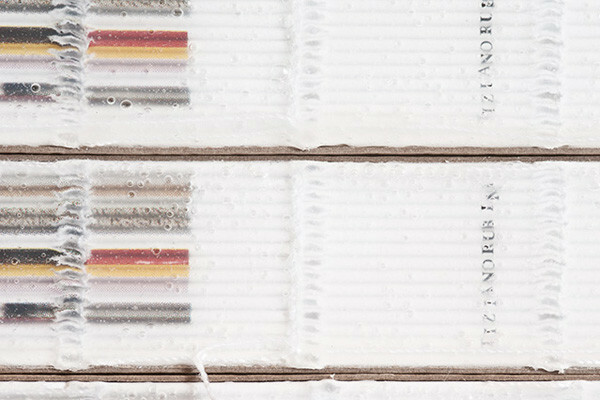 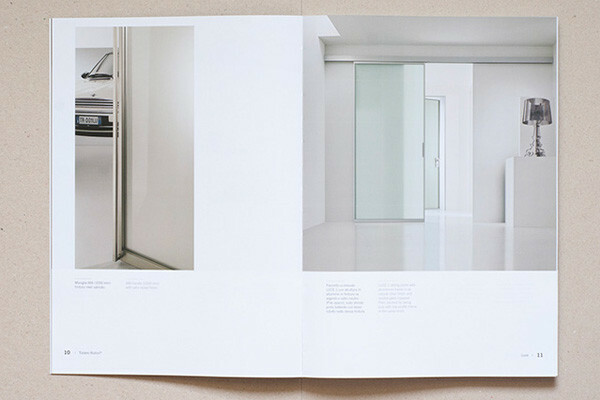 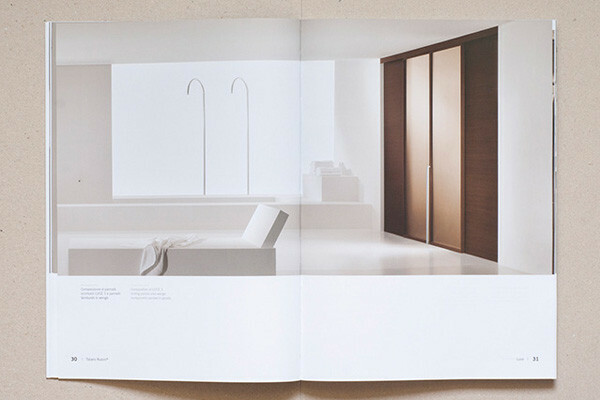 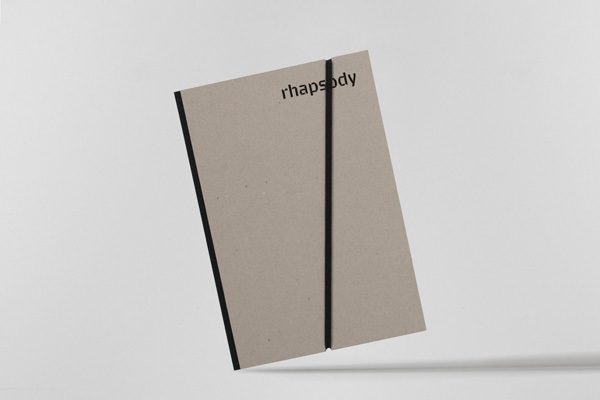 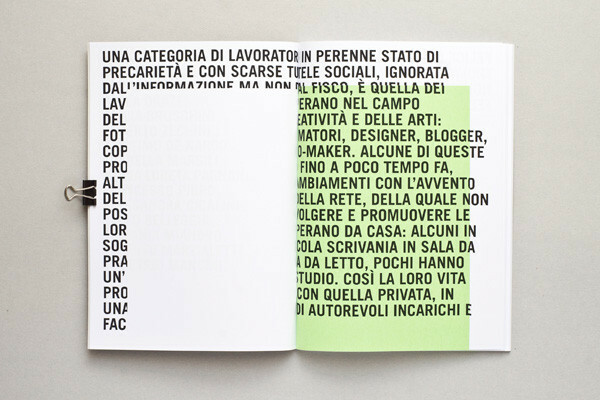 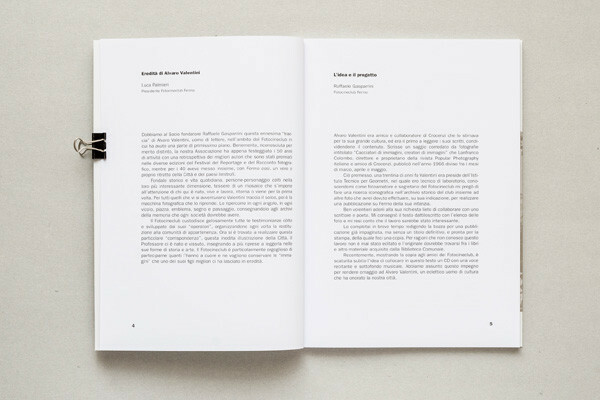 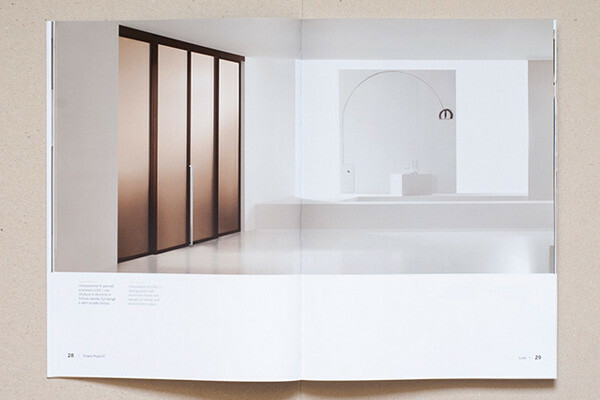 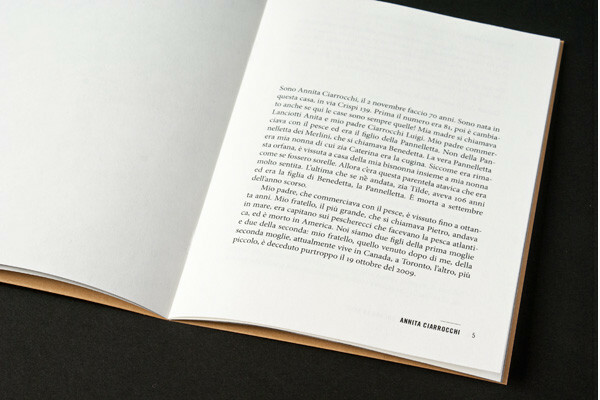 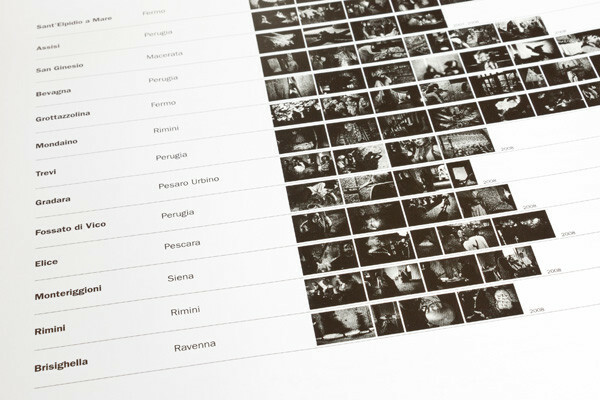 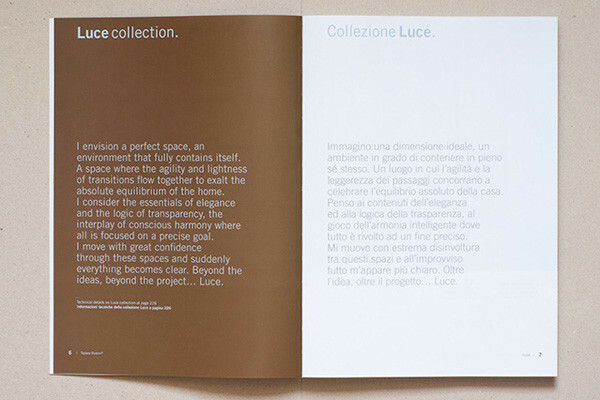 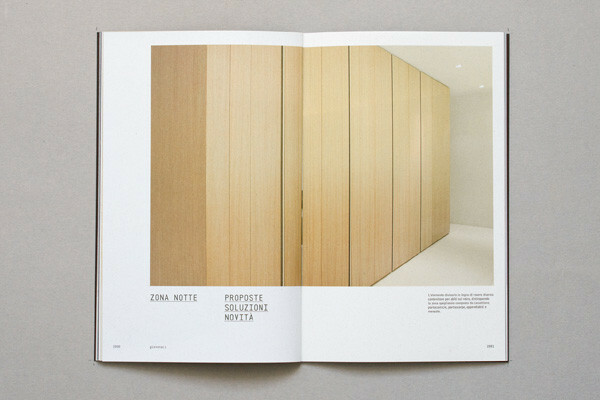 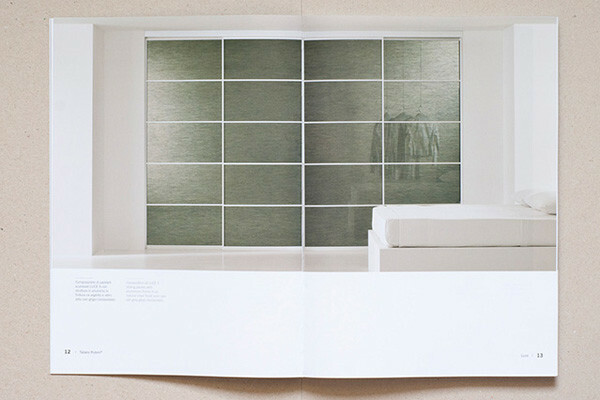 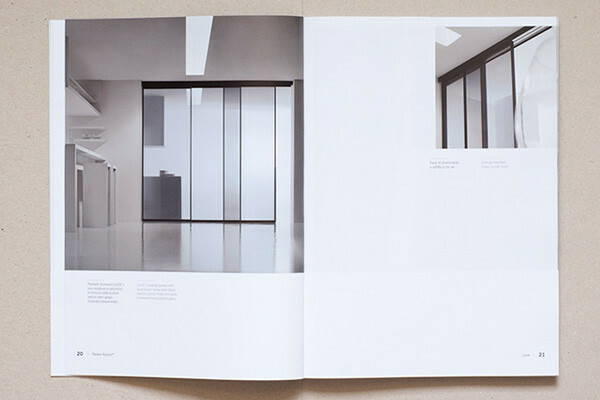 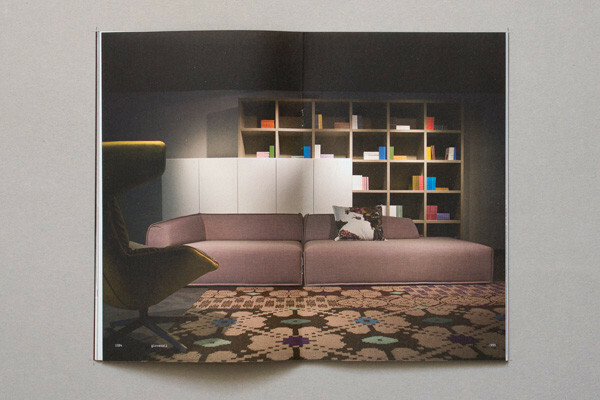 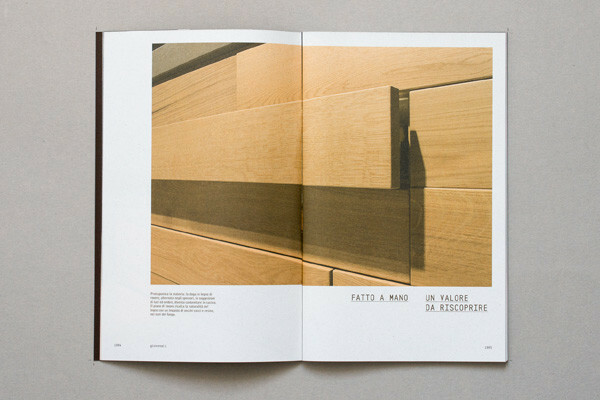 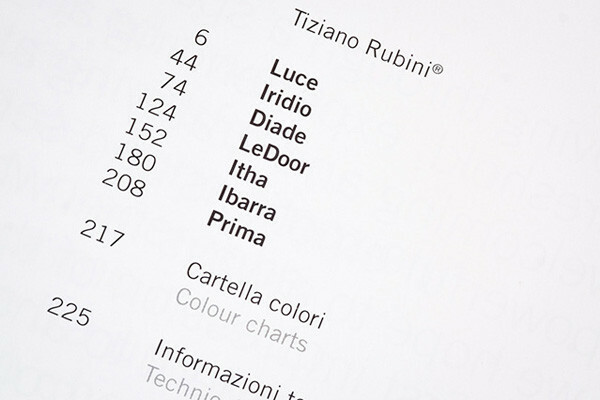 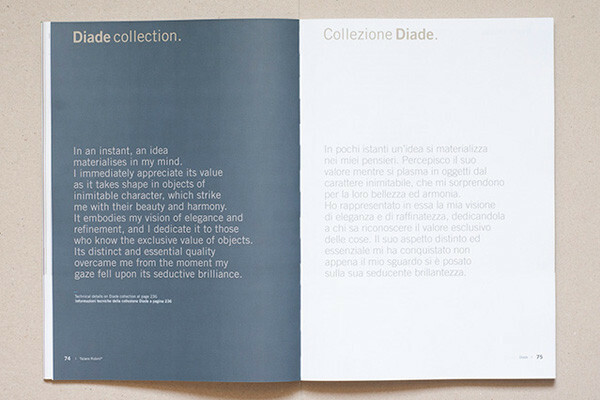 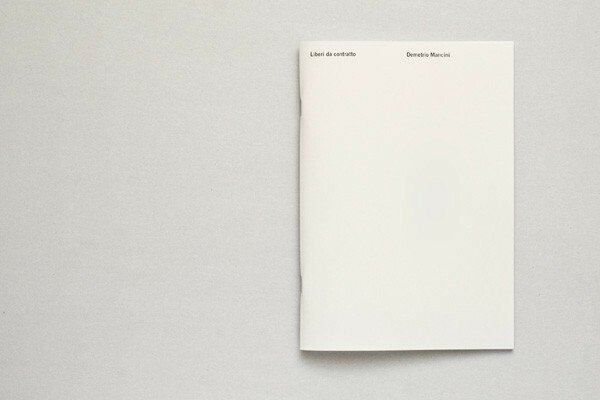 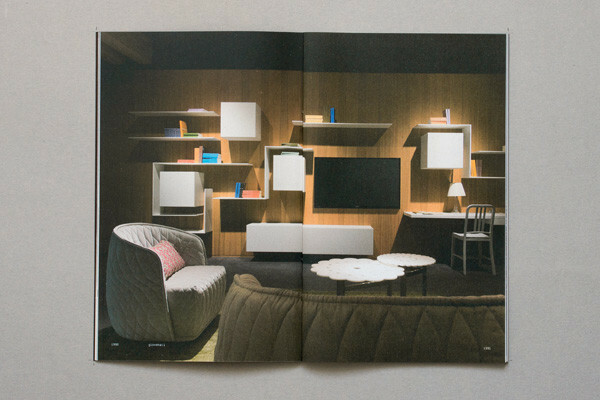 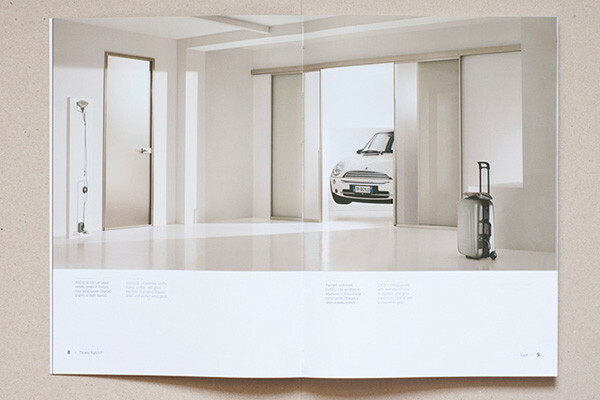 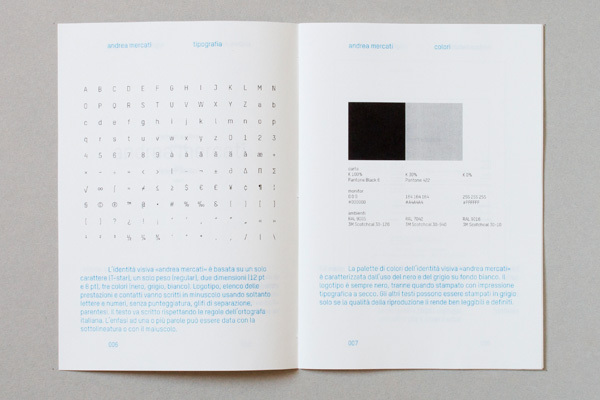 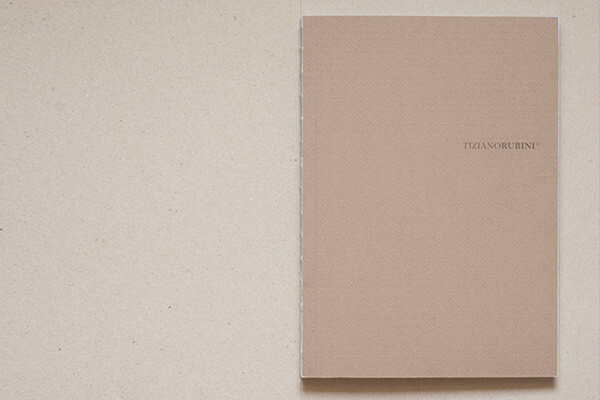 Graphic design and layout of the catalogue of the door brand Tiziano Rubini. 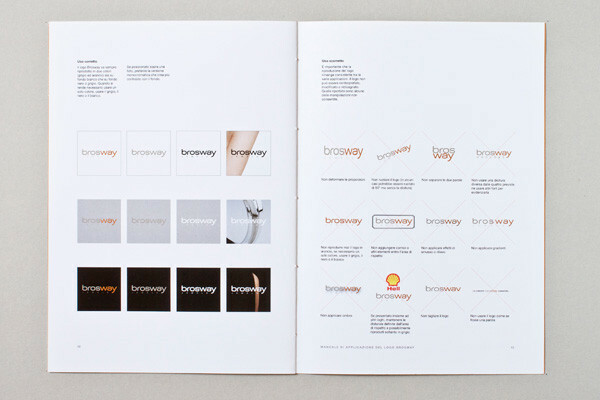 The letters that form the name of the brand are printed on the opened spine. 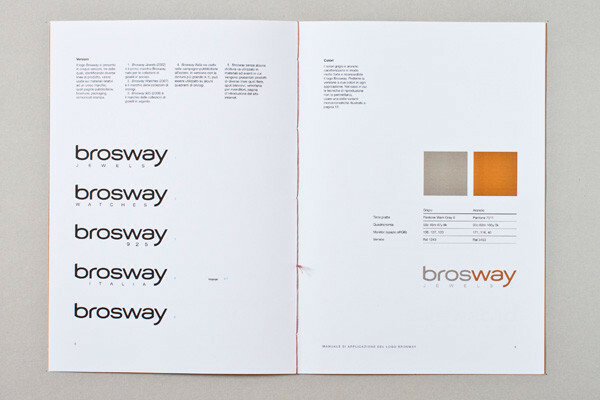 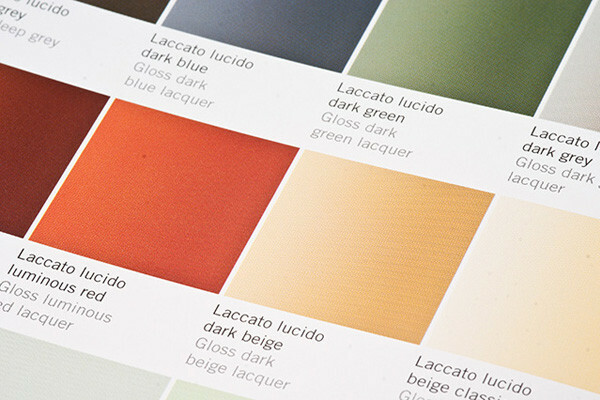 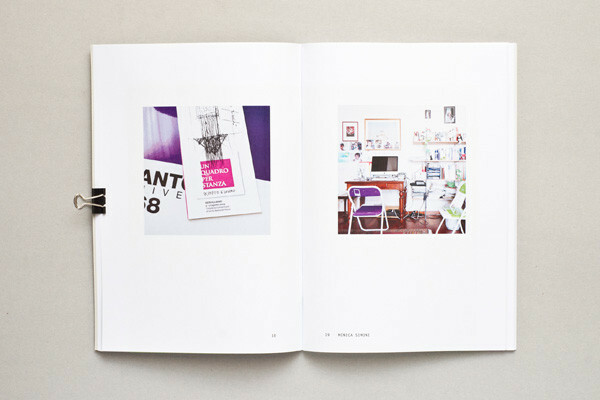 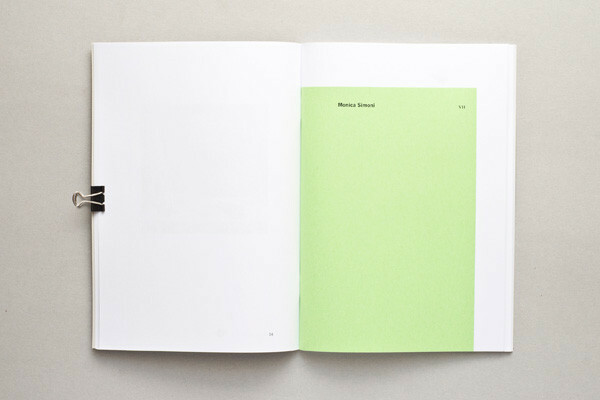 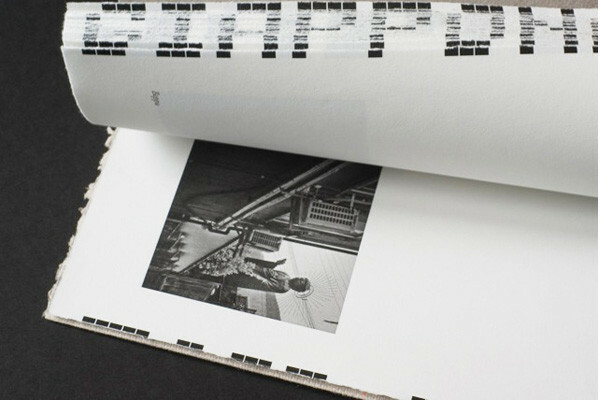 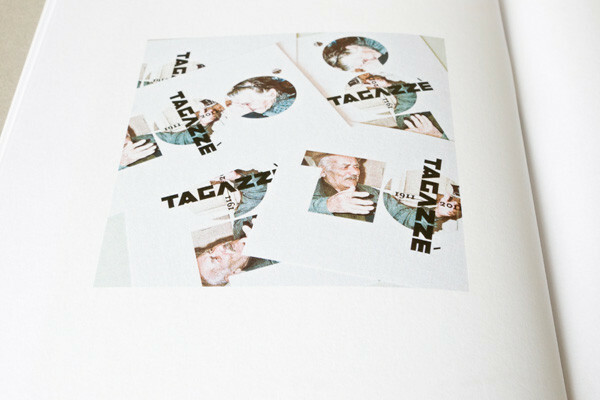 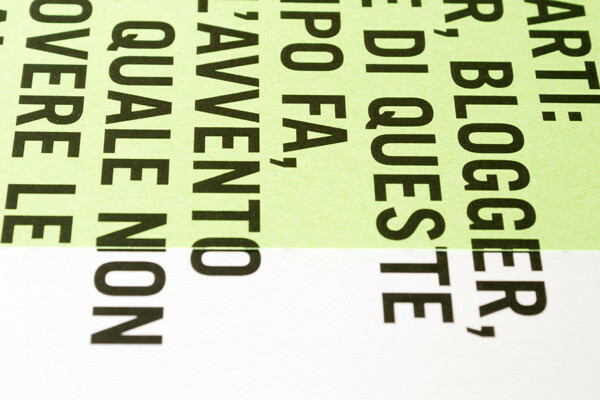 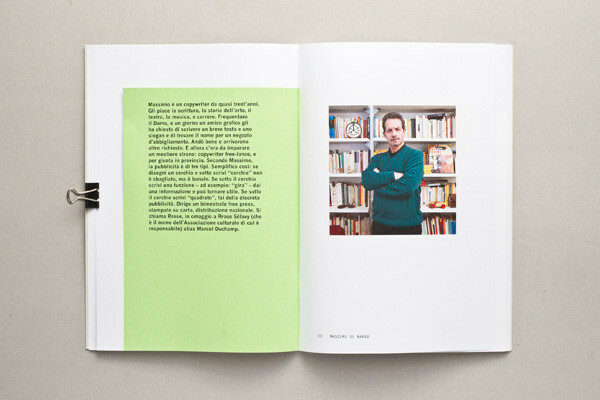 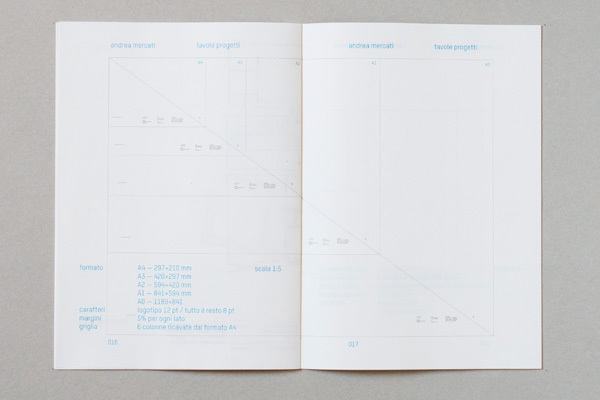 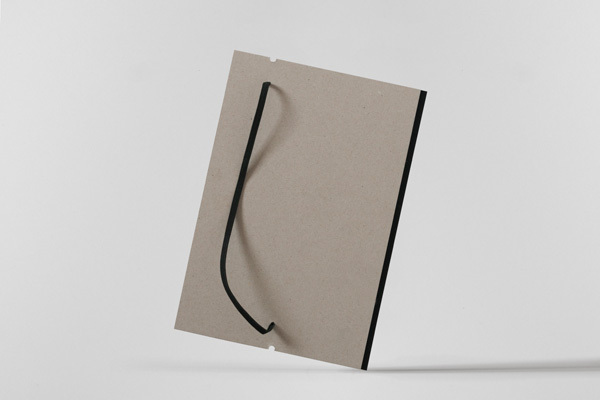 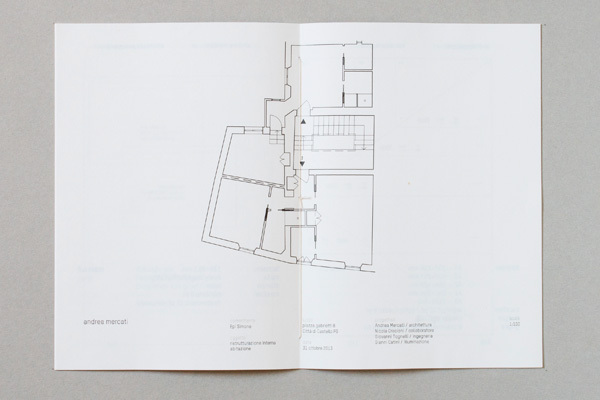 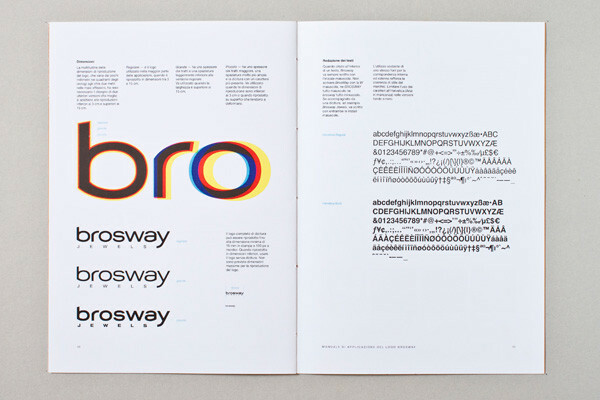 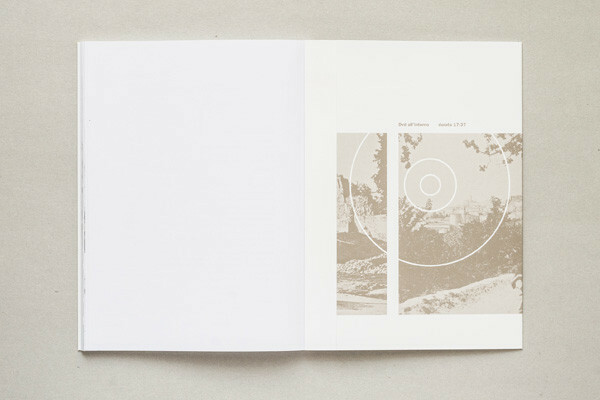 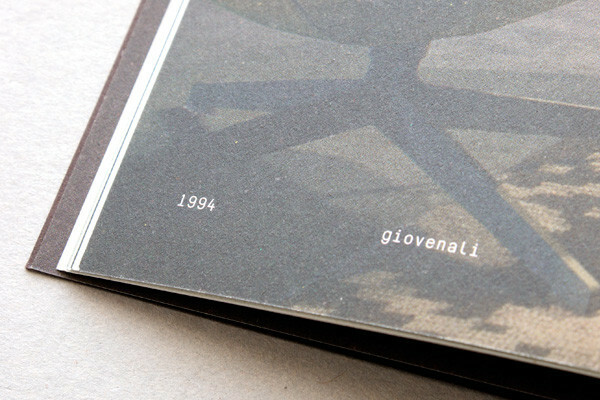 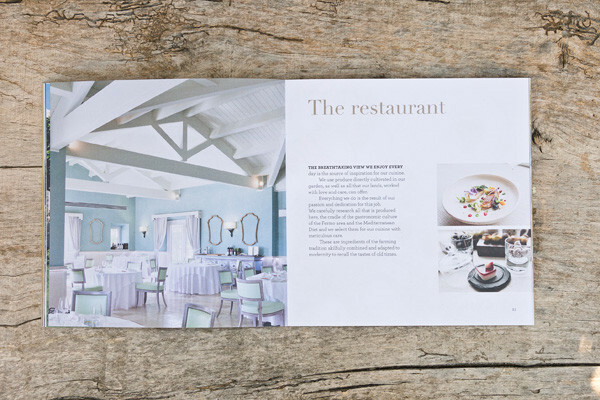 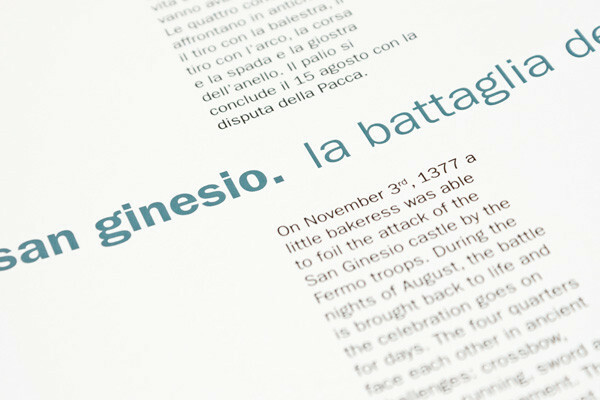 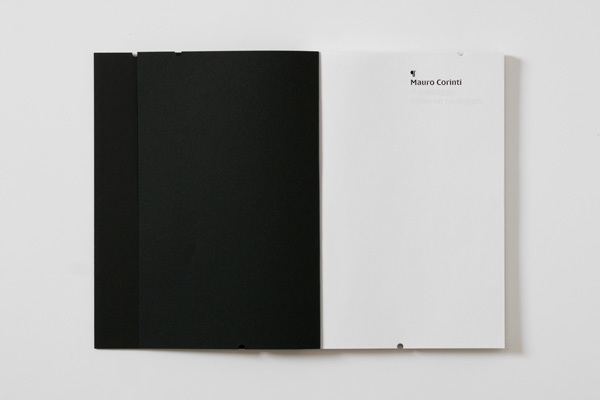 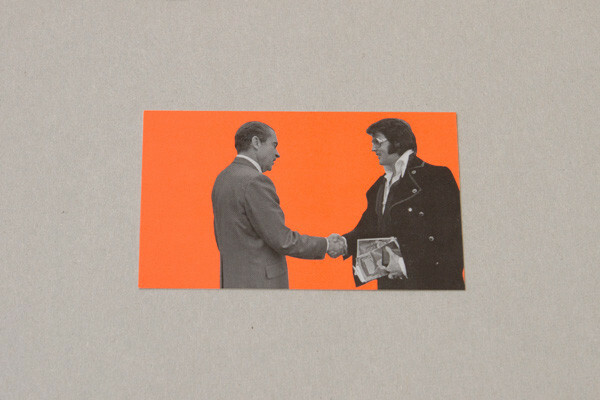 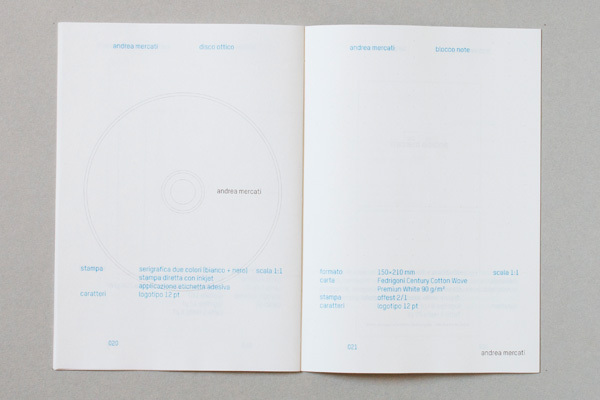 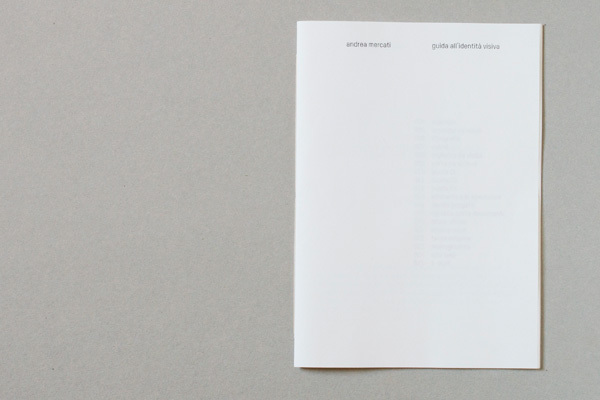 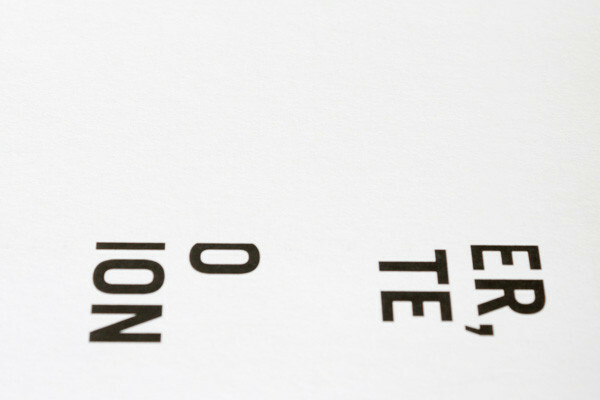 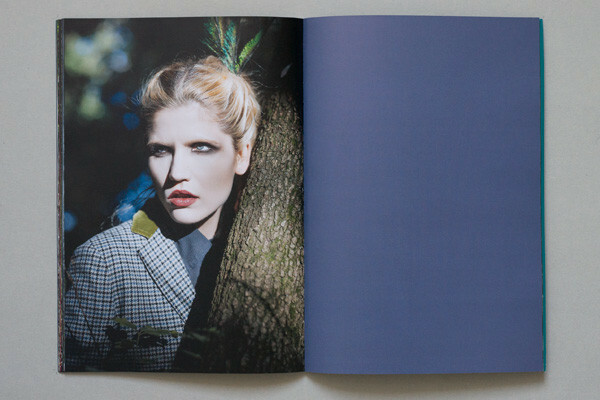 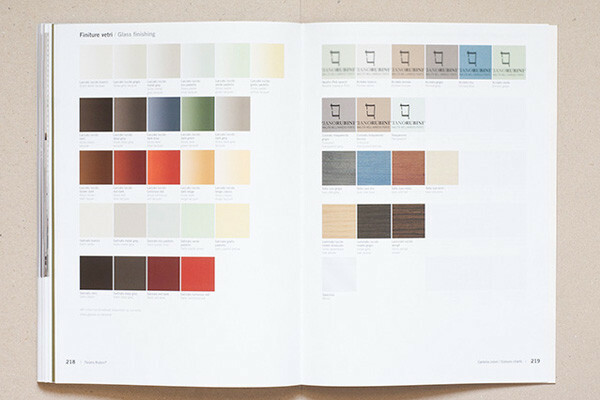 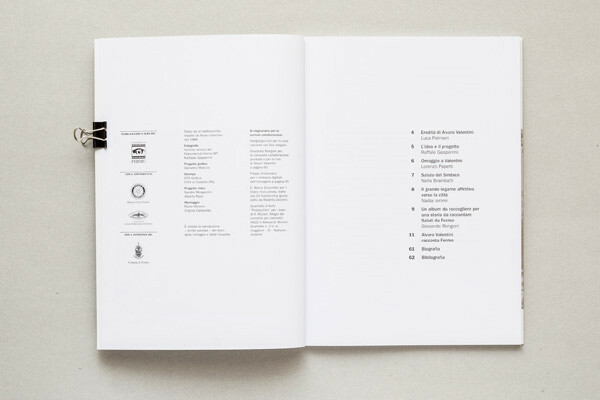 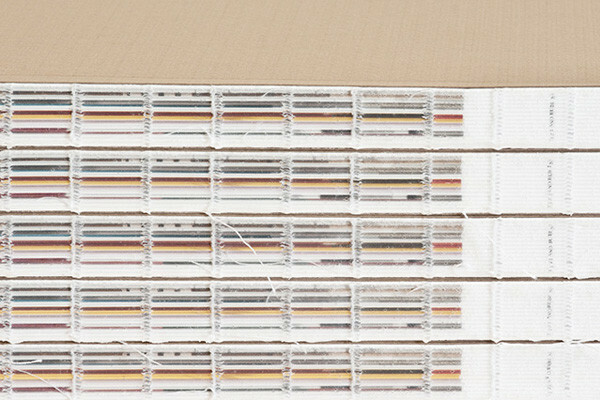 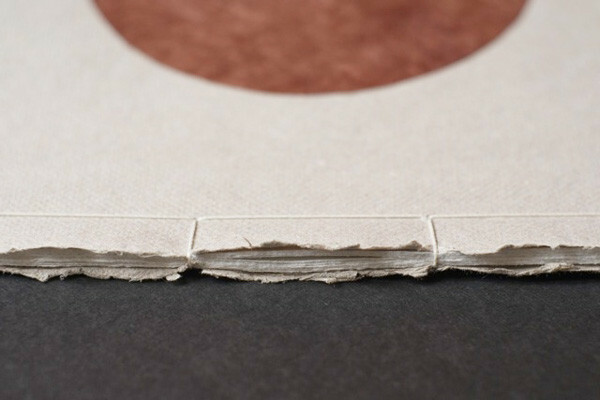 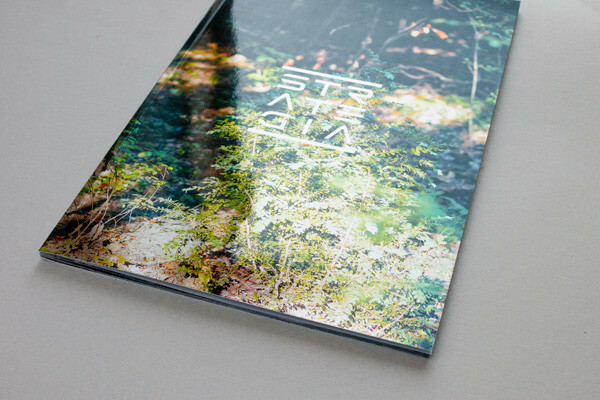 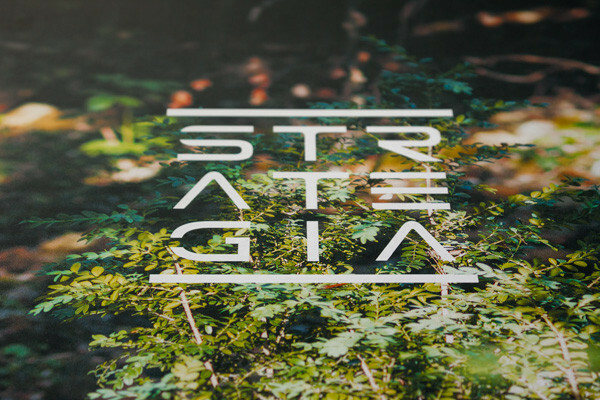 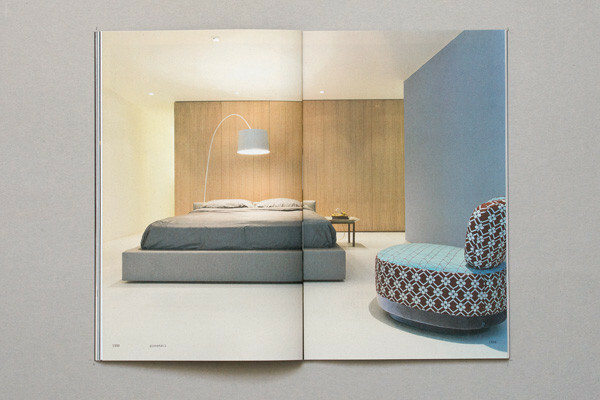 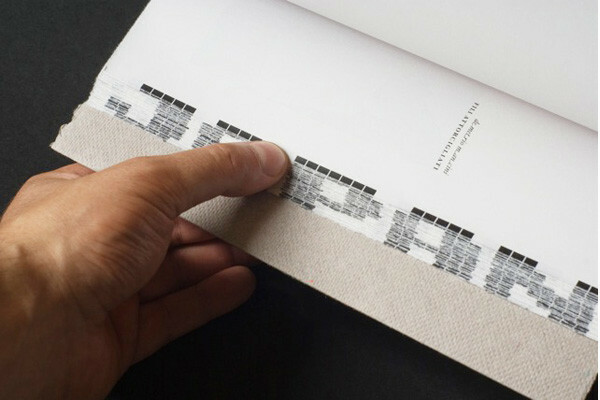 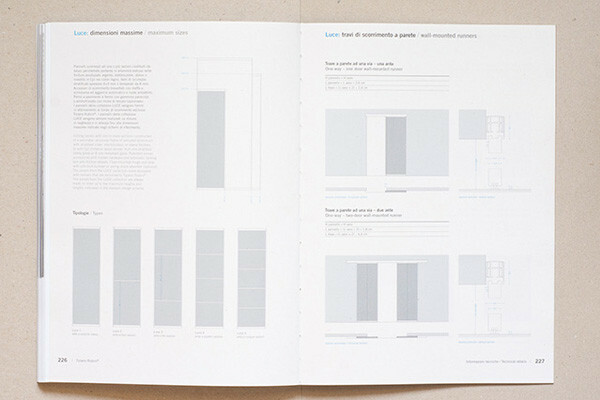 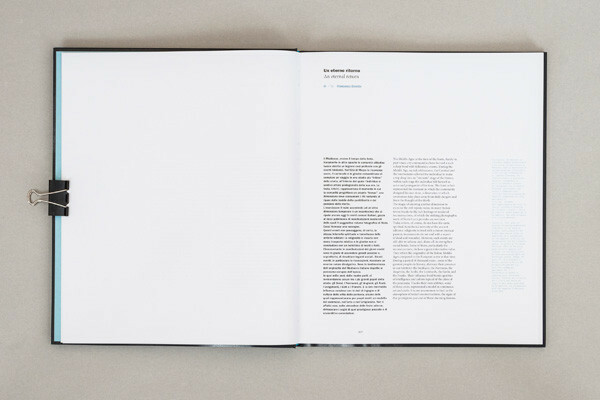 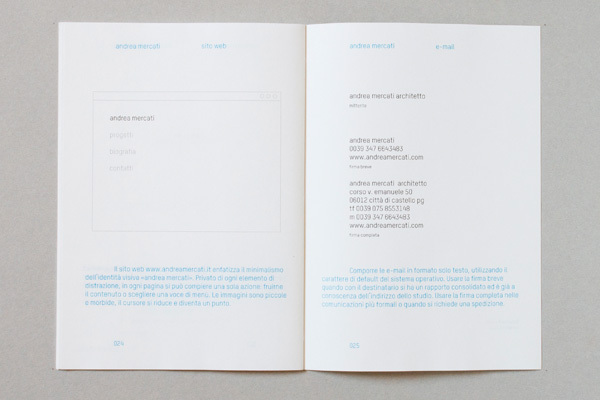 The technical section at the end of the catalogue is printed in two-colours on uncoated paper. 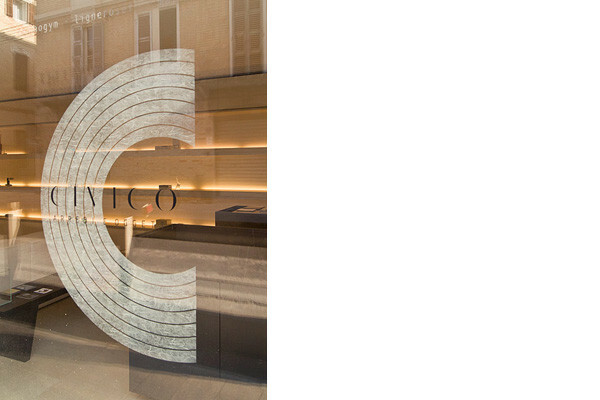 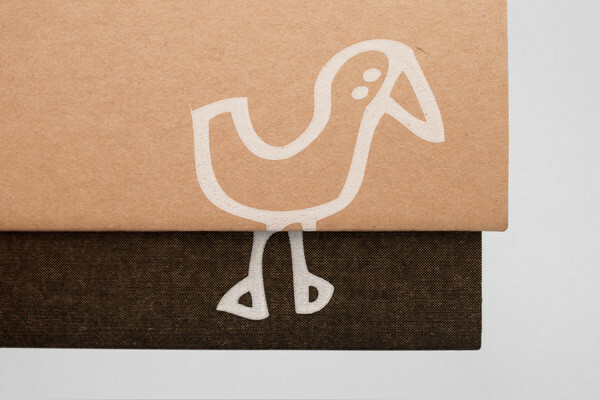 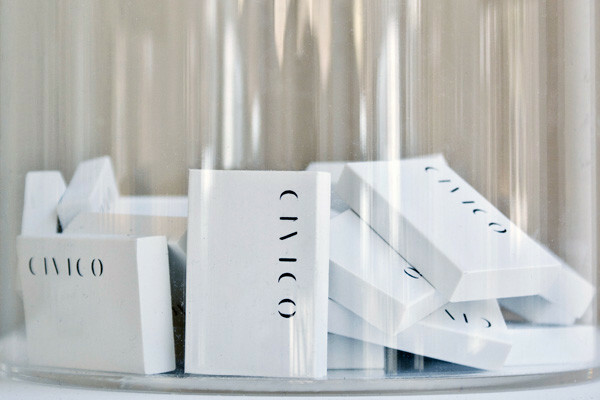 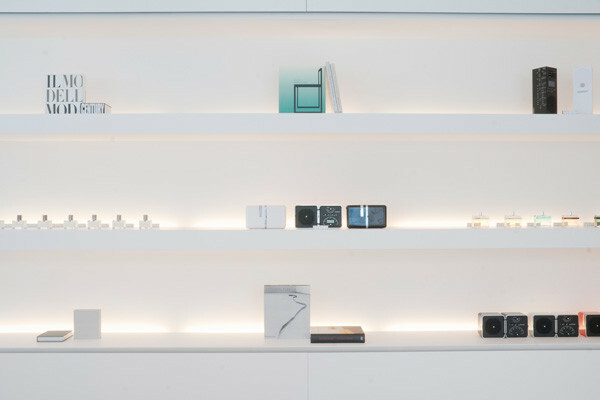 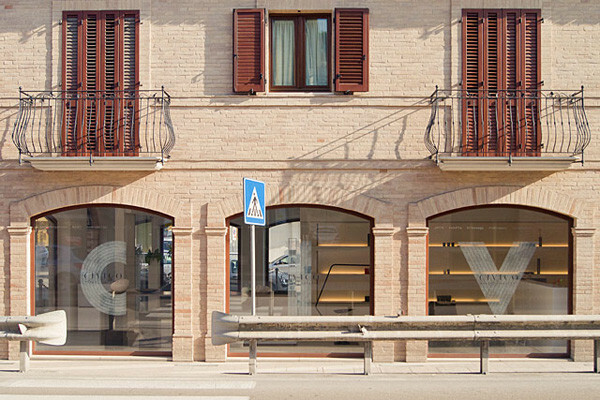 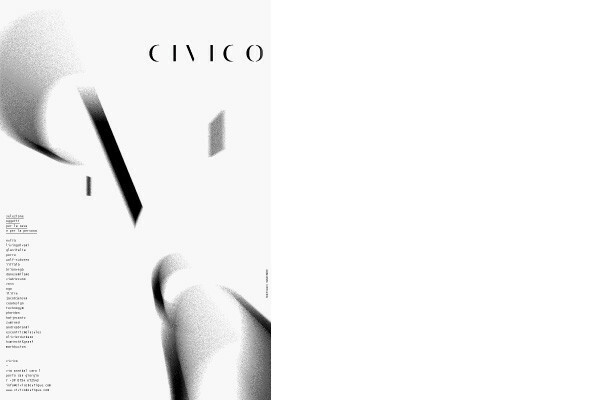 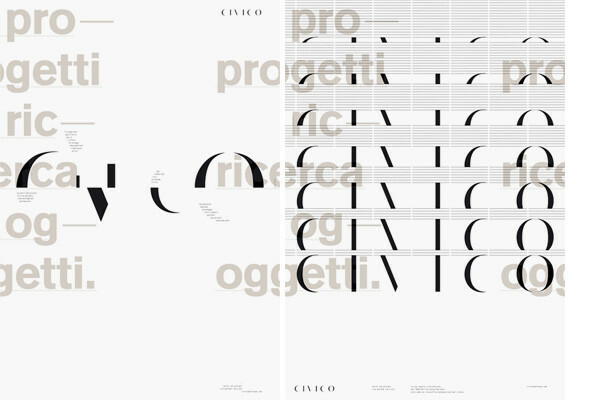 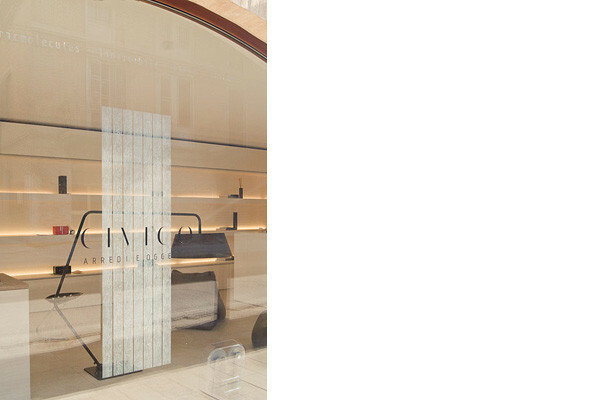 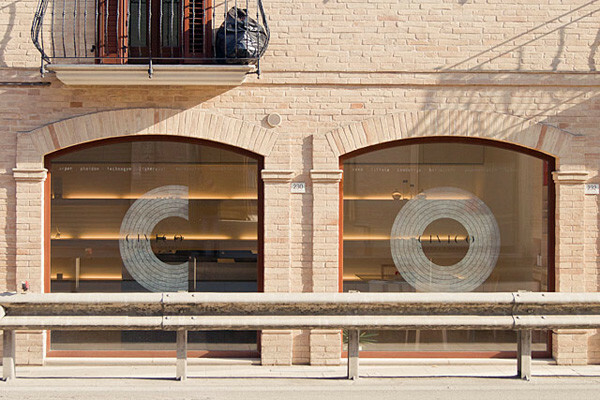 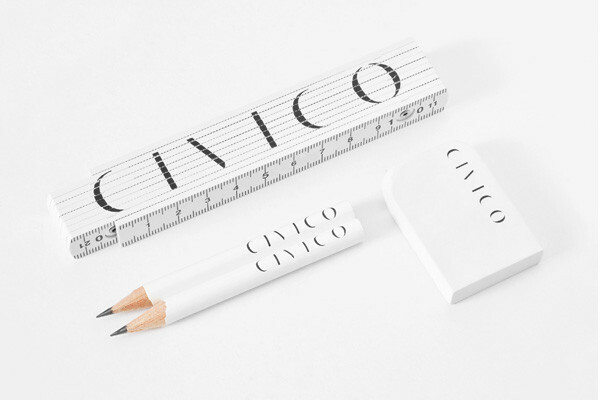 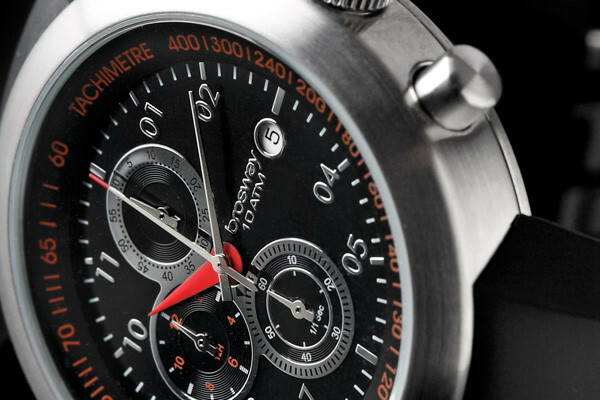 Logotype, corporate identity, advertising campaigns, window dressing, photographs and website development (2010–2012 †) for Civico, a shop that offers a highly selective choice of home decor and objects. 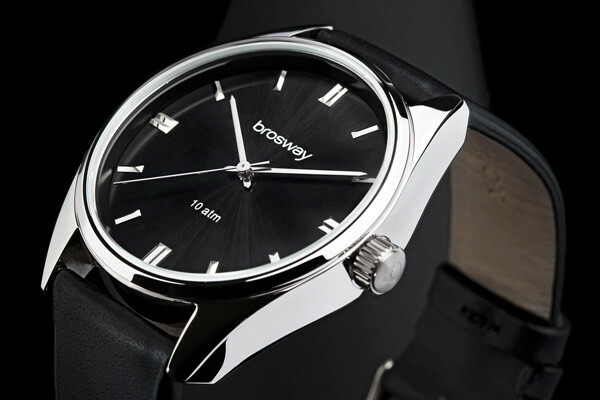 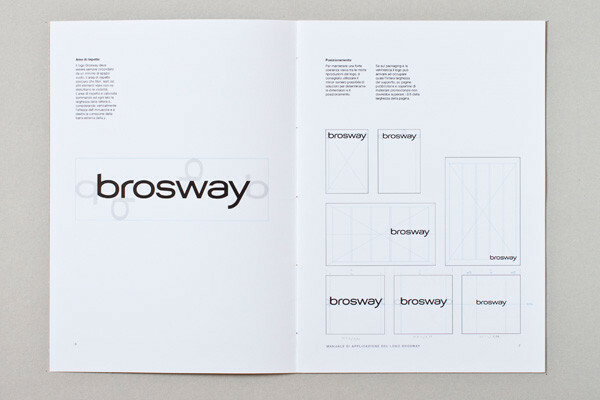 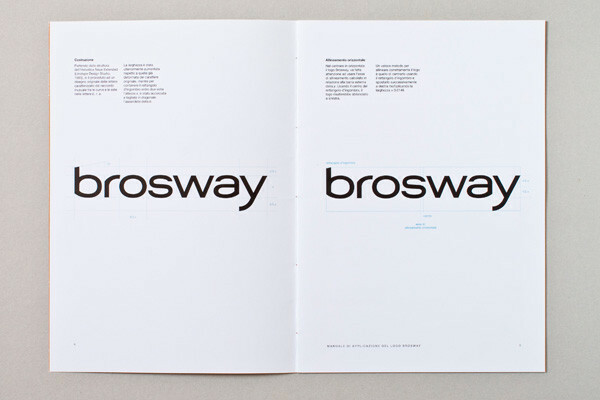 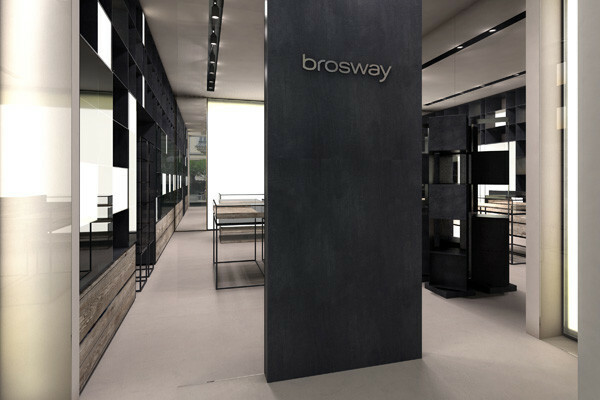 Logotype — redesigned in collaboration with Lando Landi — and logo guidelines for Brosway, a brand of stainless steel and silver jewellery and watches. 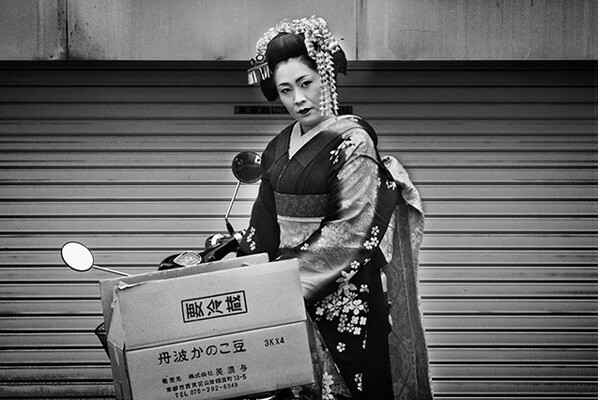 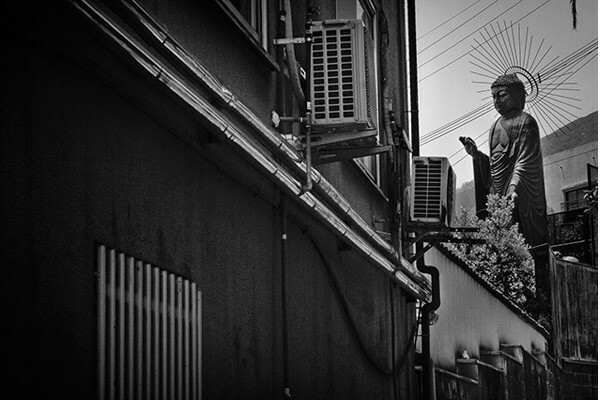 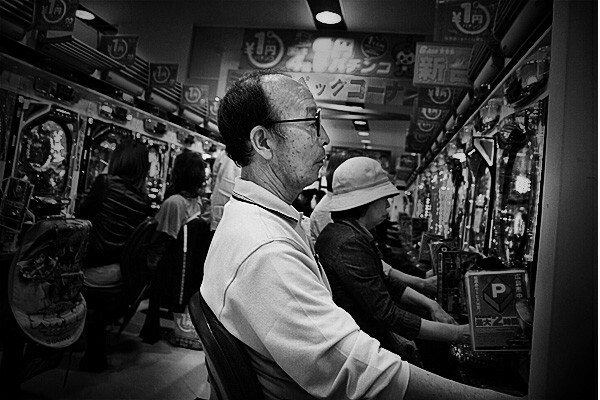 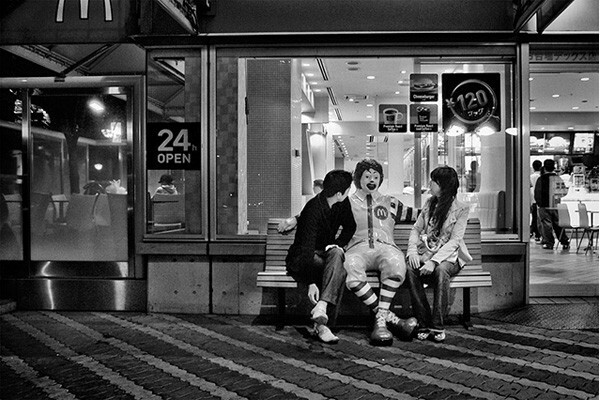 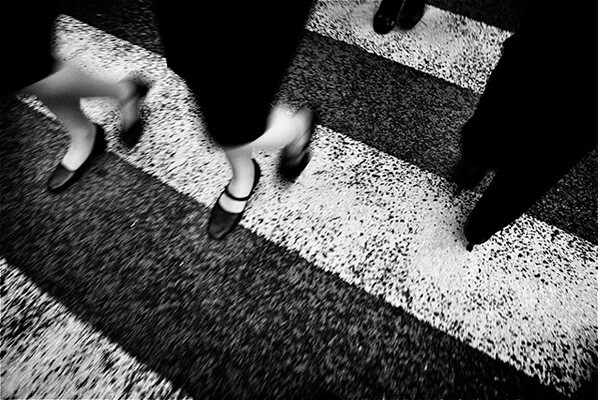 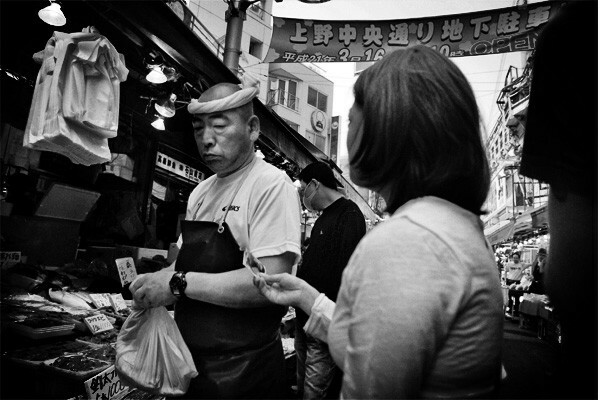 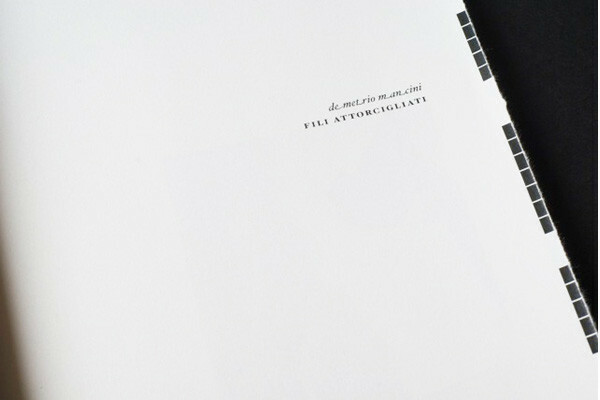 Fili attorcigliati is a self-edited photographic book published in nine copies that describes the country of Japan where modernity and tradition, punks and geishas, salary men and street vendors mix and intermingle in unexpected ways. I am a freelance graphic designer since 2008 and I work mainly for small and medium-sized businesses and cultural associations. 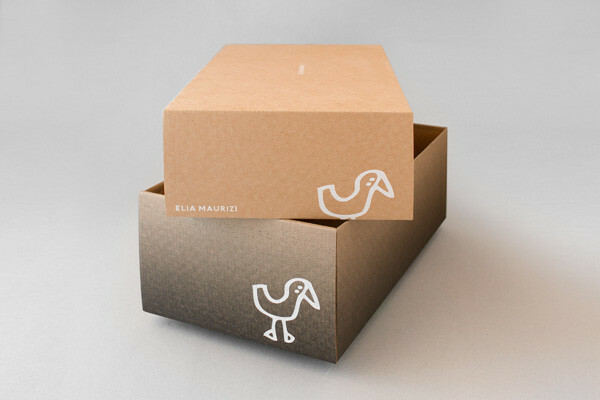 I design logotypes, visual identities, editorial products, advertising materials, packaging, exhibitions and developes websites. 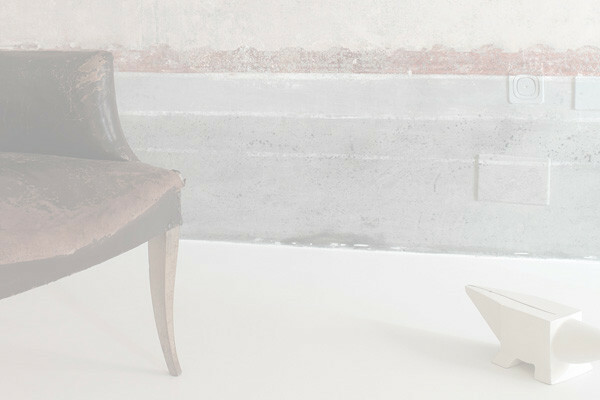 I view my profession as a useful means to organize ideas, while helping my clients to promote their products, services and events in a clear, essential and authentic way. 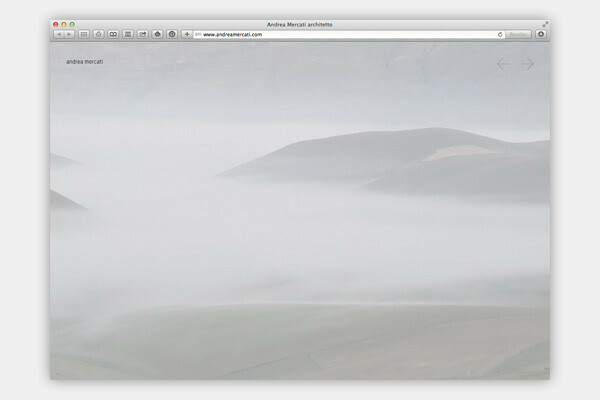 I live and work in a small town in the hinterland of the region Marche in Italy.